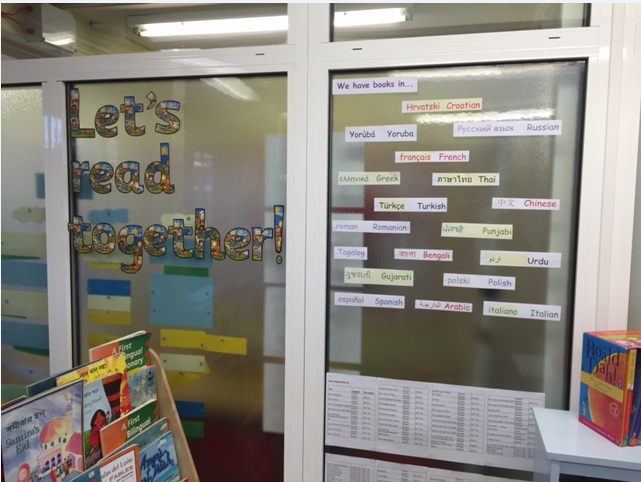 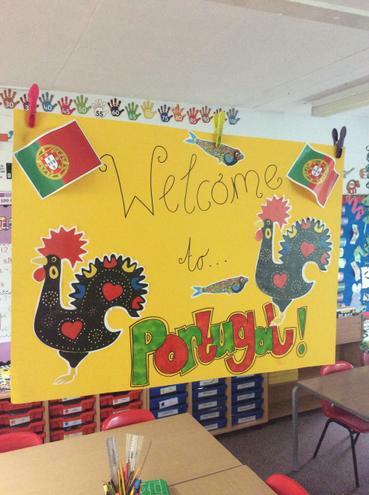 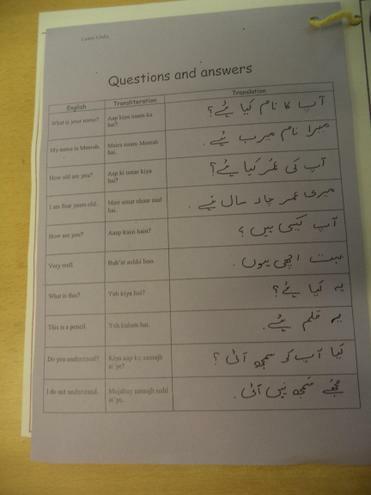 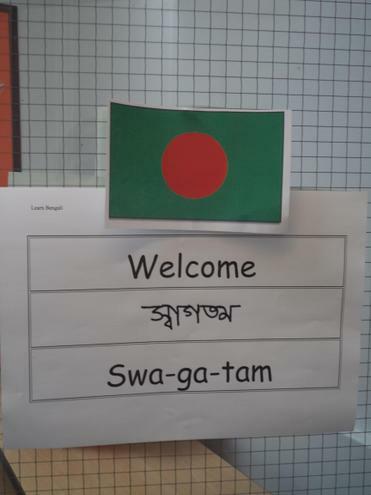 At our school, we are really lucky to have such a diverse community who speak lots of different languages. 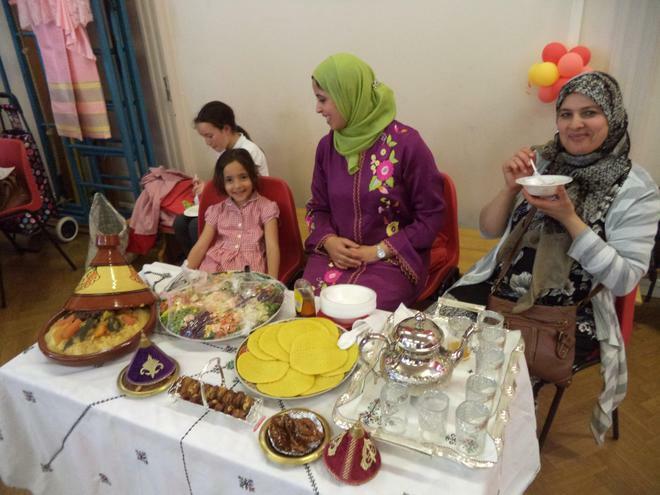 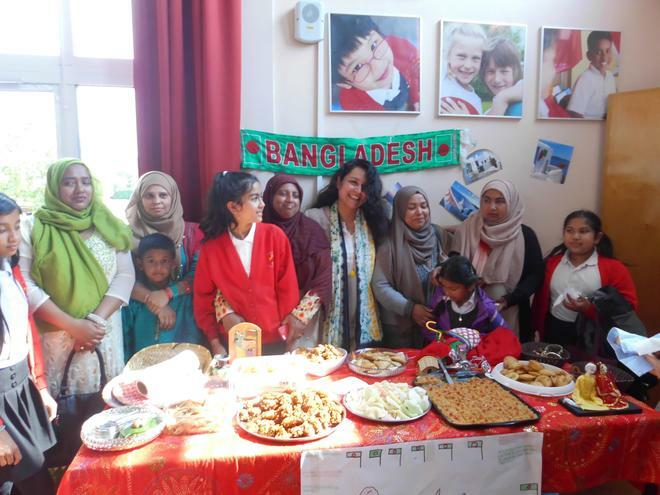 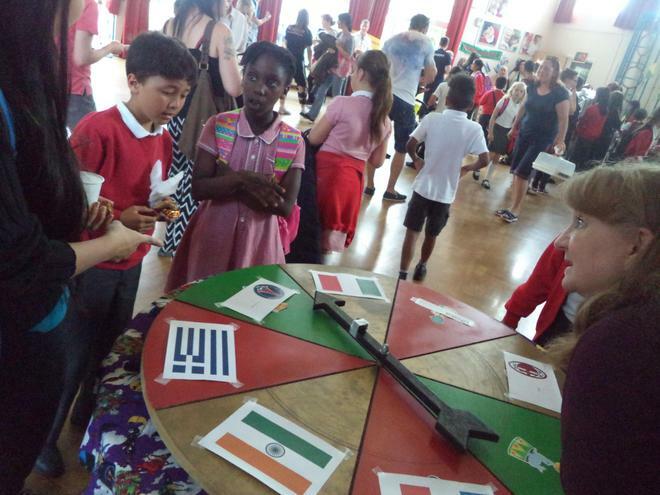 Our community currently speaks at least 16 different languages including: Arabic, Bengali, Greek, Panjabi, Polish, Portuguese, Dari Persian, Romanian, Urdu, Albanian, Tagalog, Gujarati, Chinese, Pashto, Hindi and Yoruba. 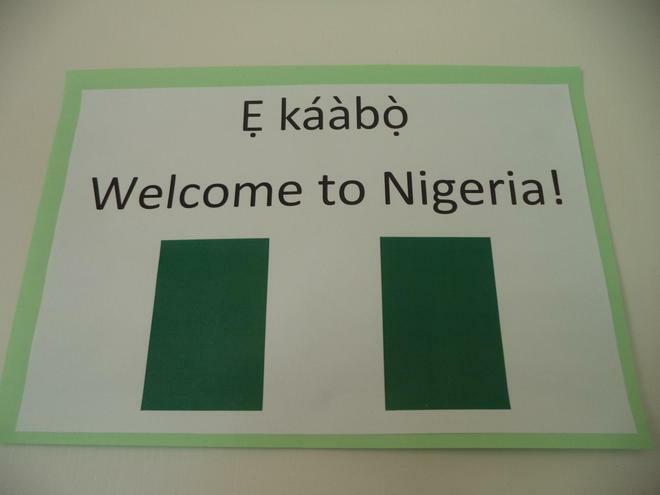 Did you know that you can translate our website into over 90 different languages? 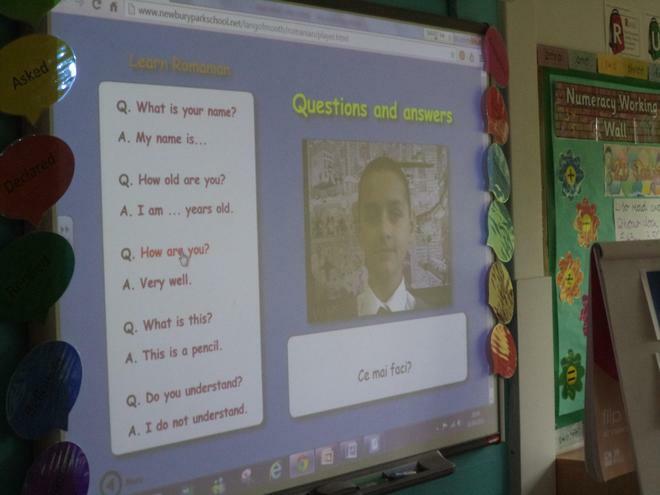 See the 'Select language' tab on the bottom right of the website and select a language. 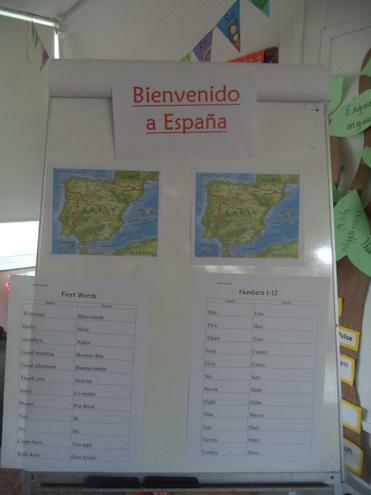 If you or your family speak another language not listed here, then please let me know so I can add it to our list! 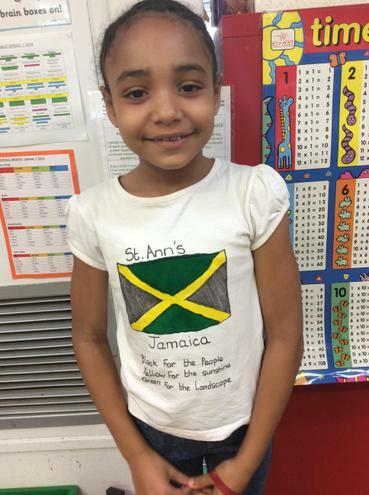 If you would like to help out or have any ideas, please let Mrs. Arnott know! 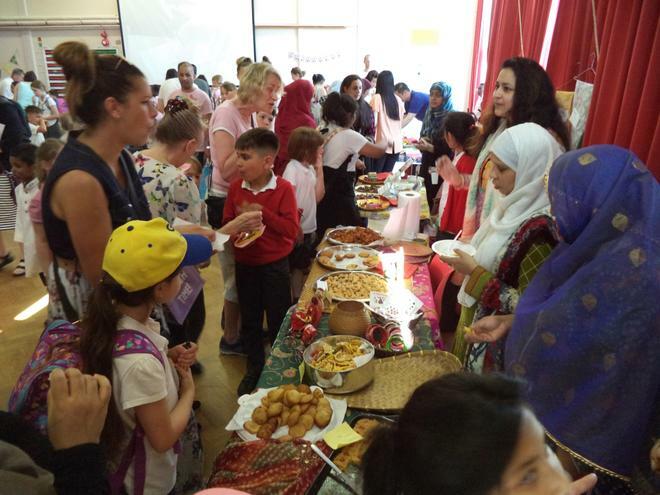 This year we decided to plan a whole week of activities to celebrate our diverse school community. 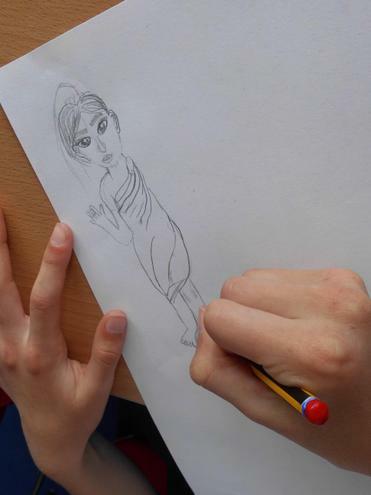 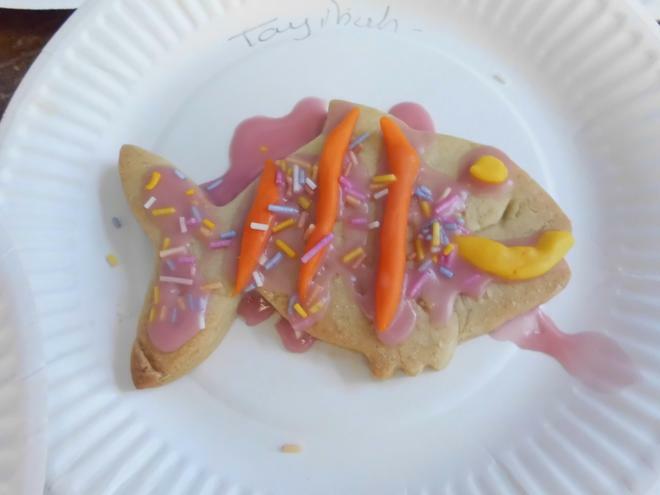 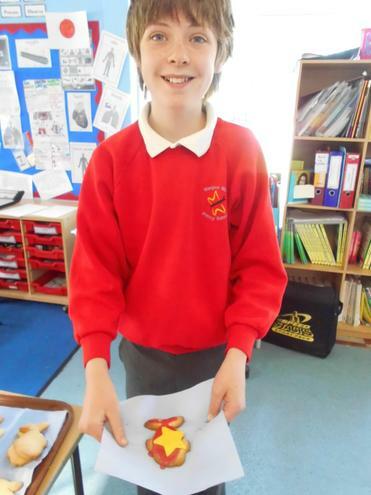 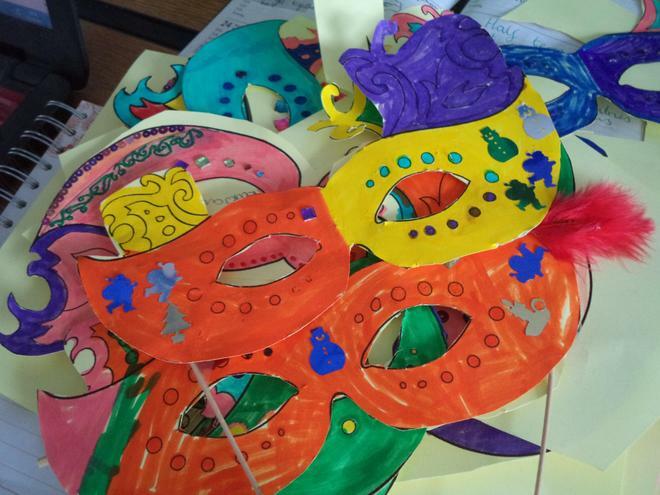 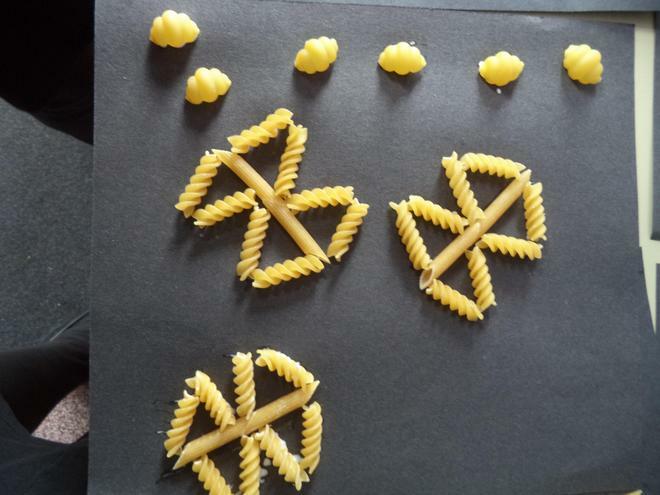 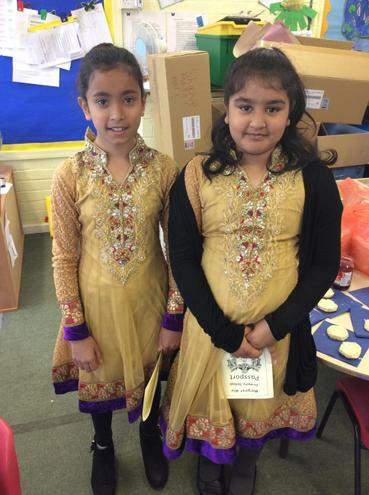 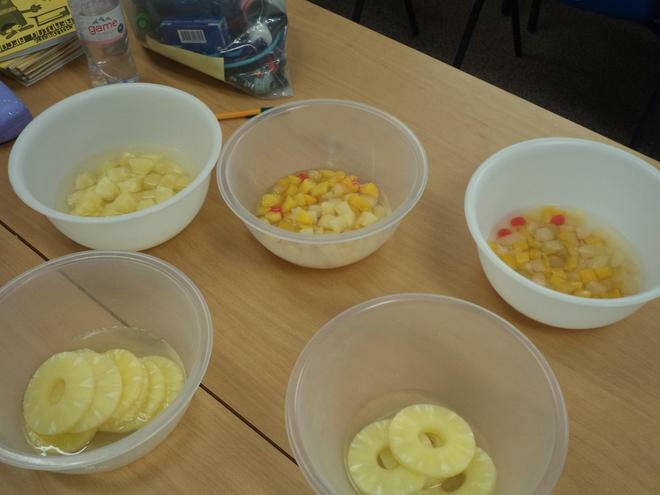 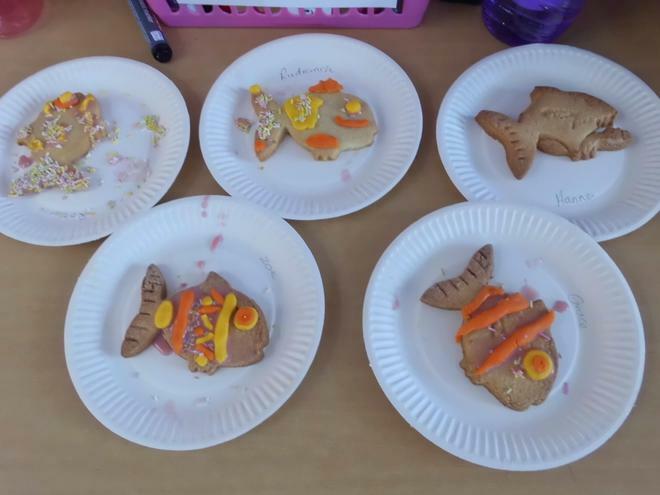 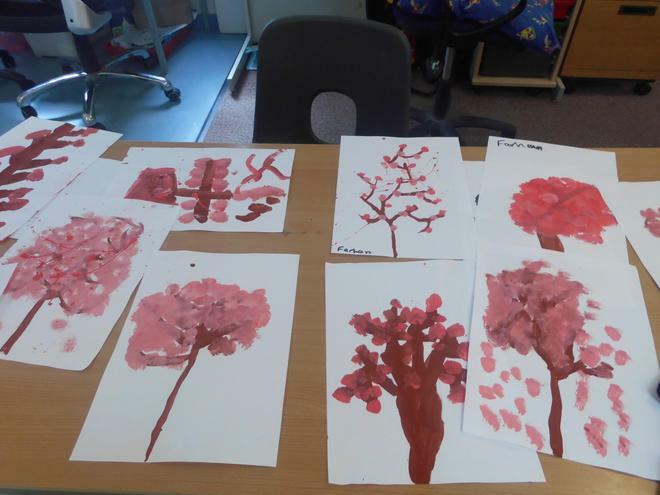 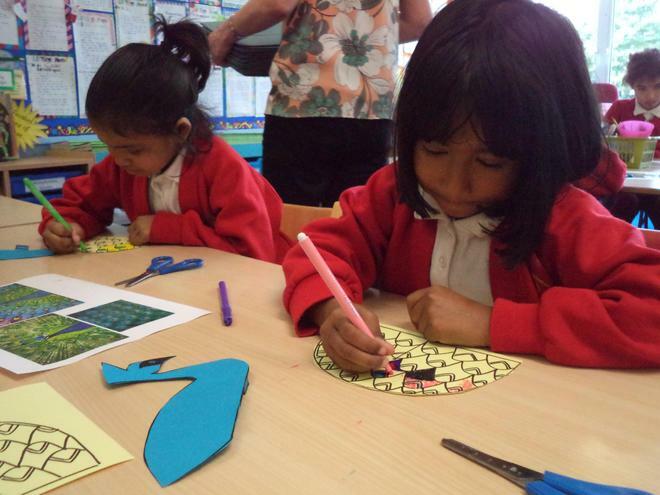 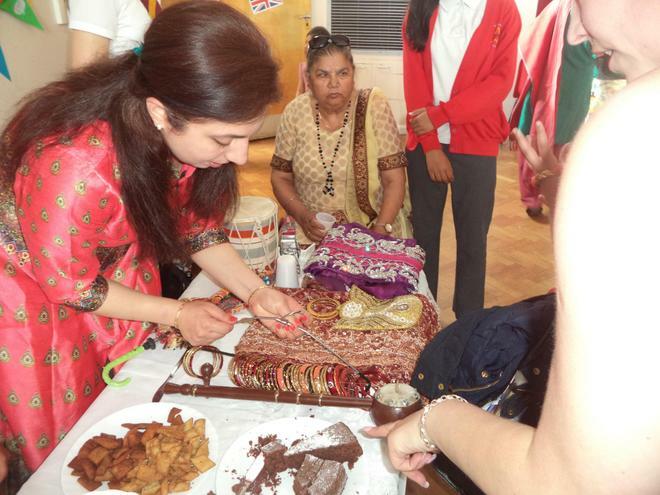 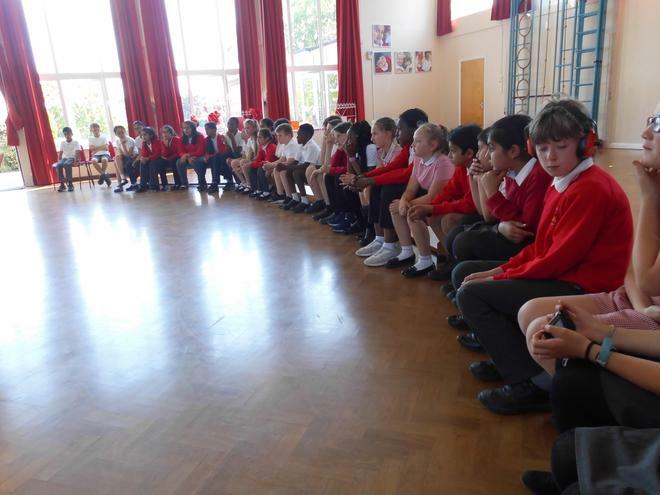 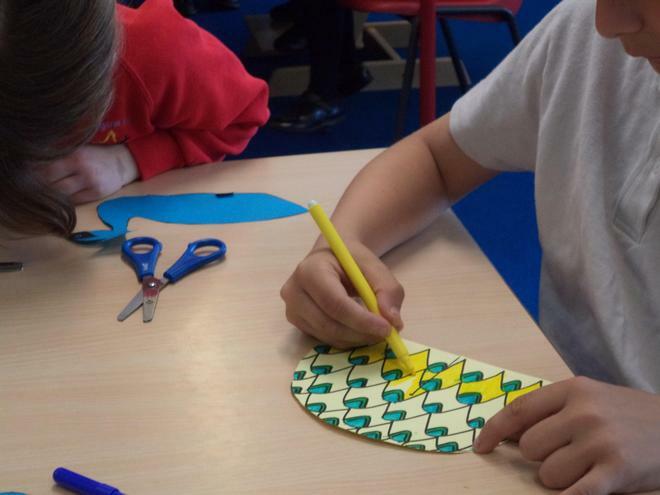 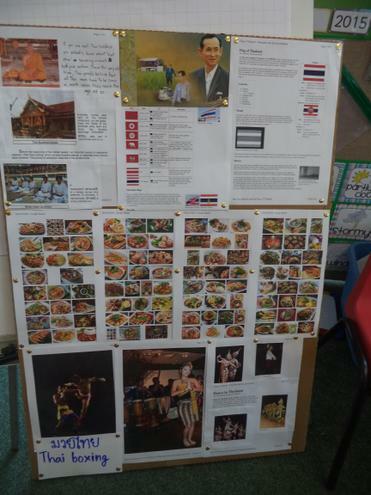 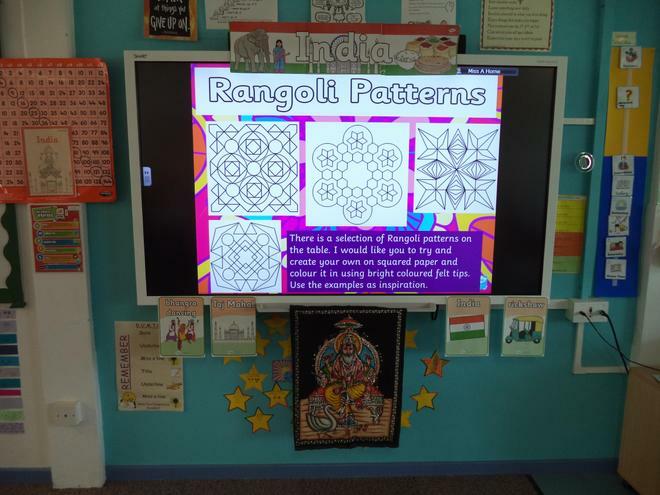 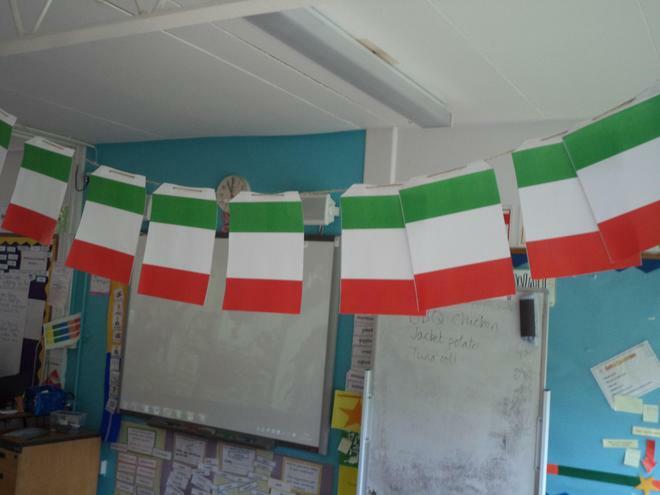 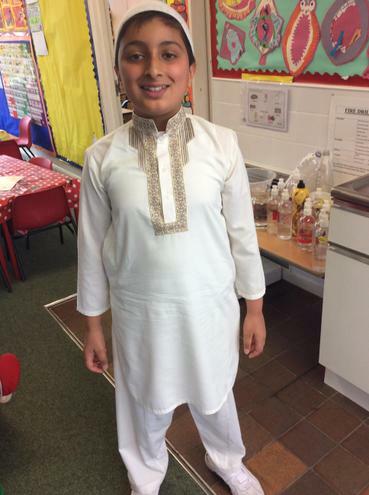 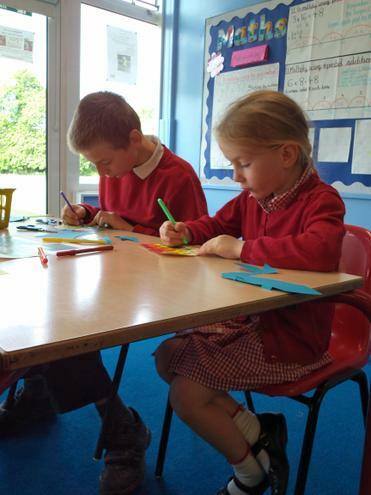 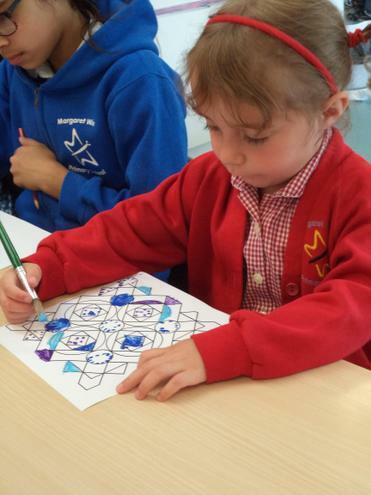 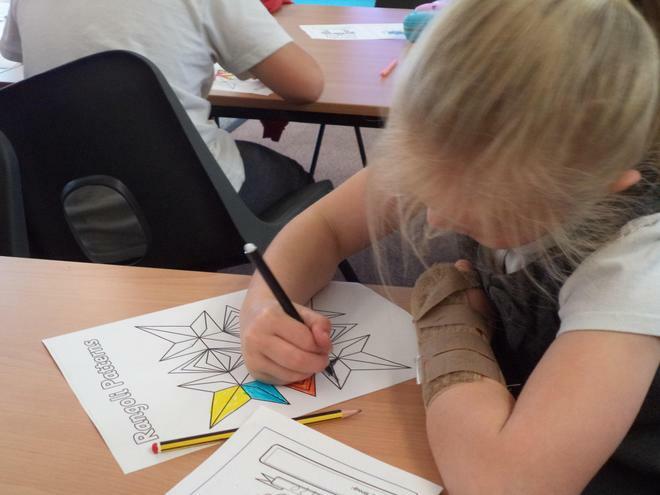 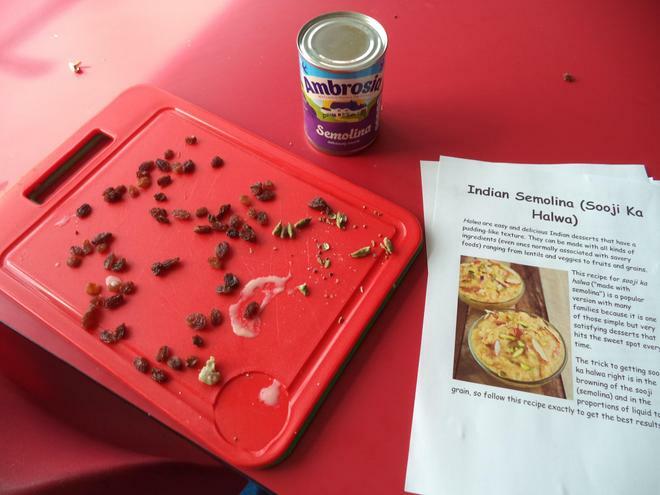 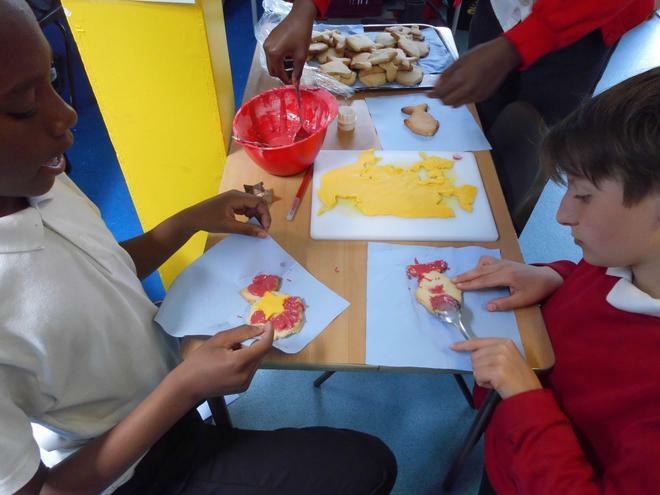 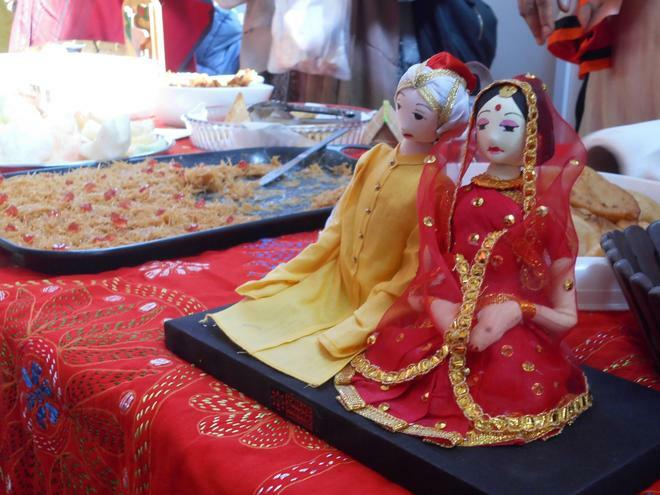 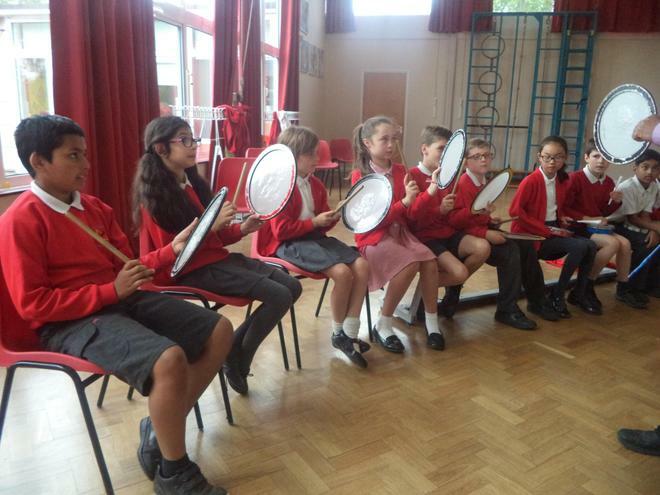 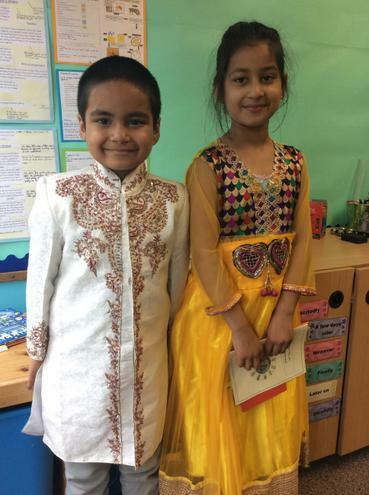 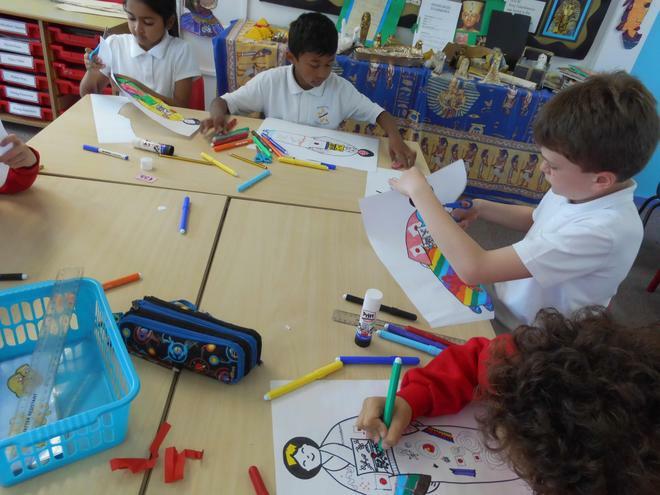 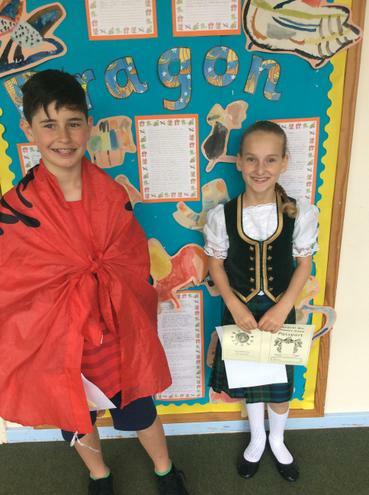 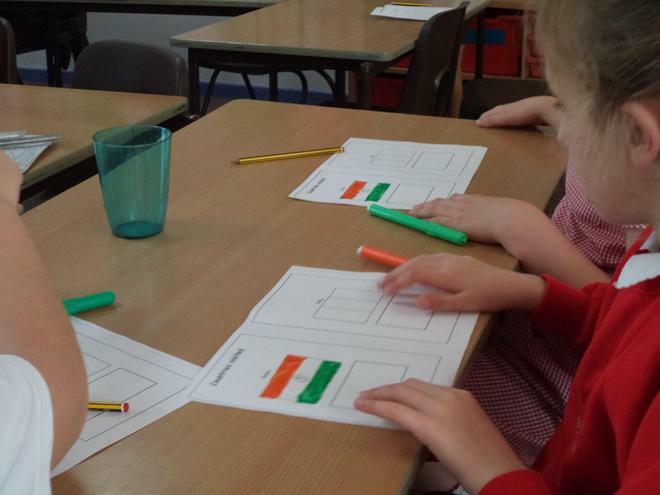 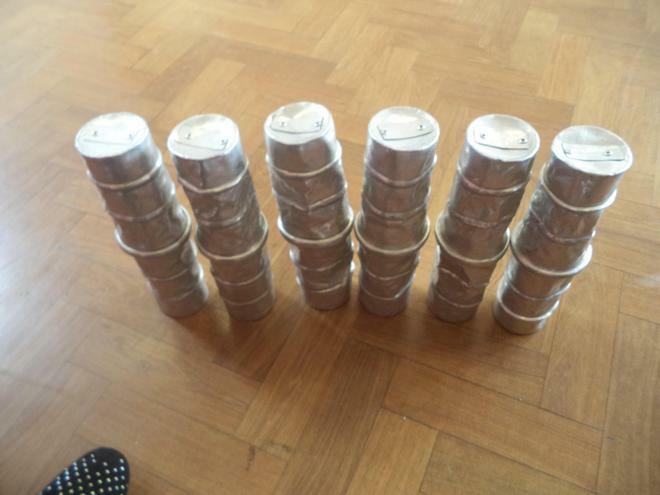 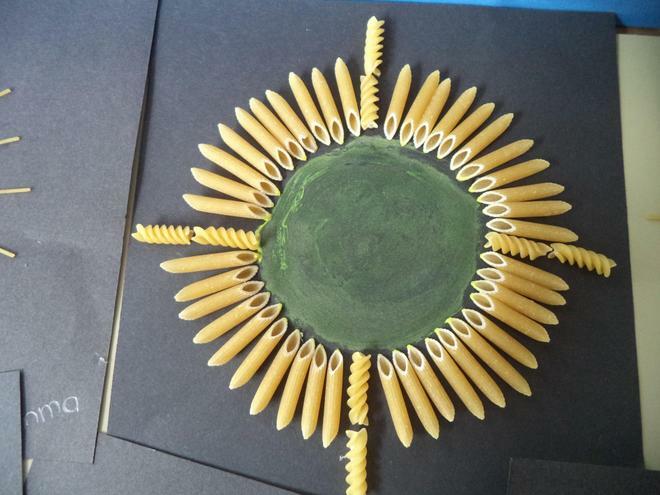 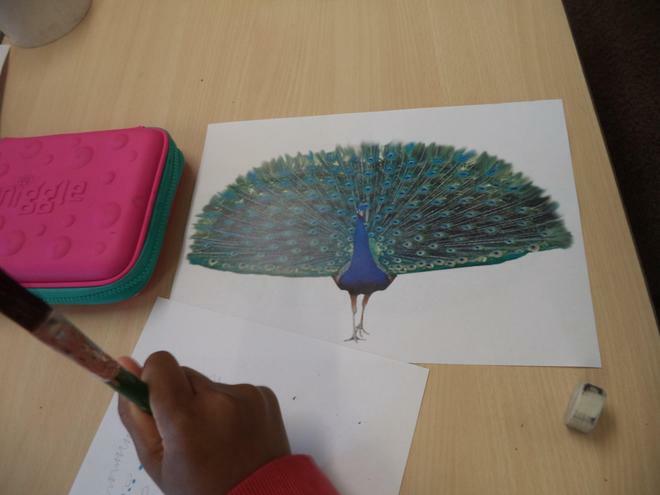 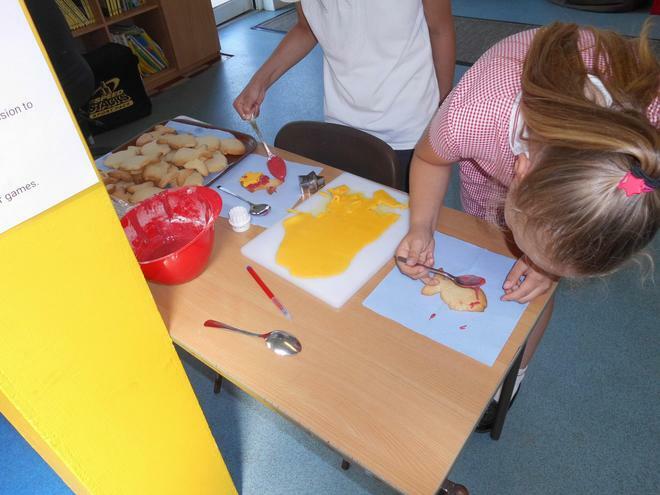 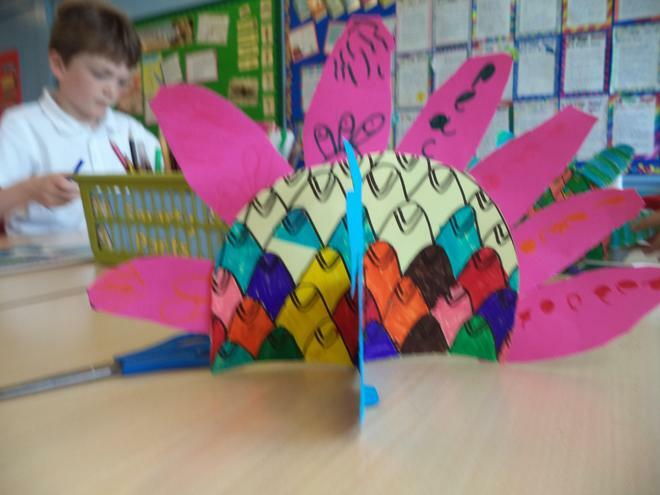 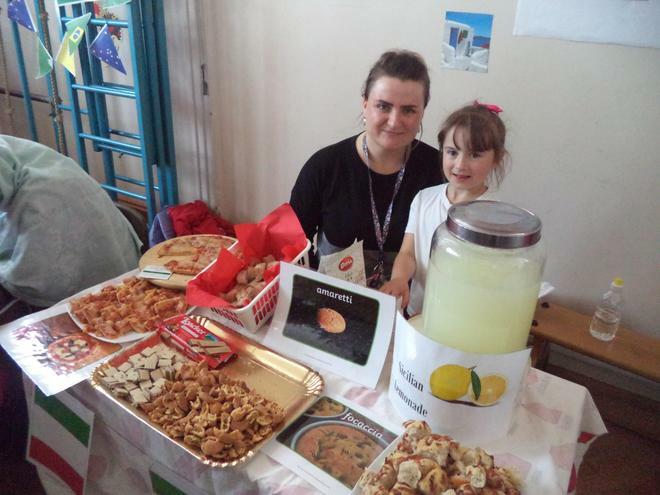 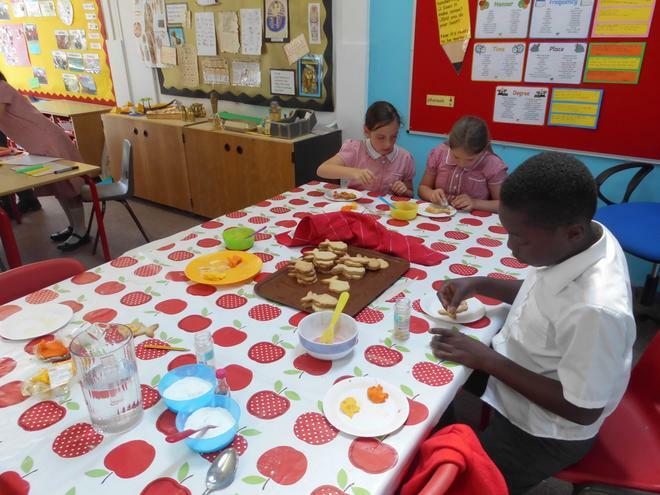 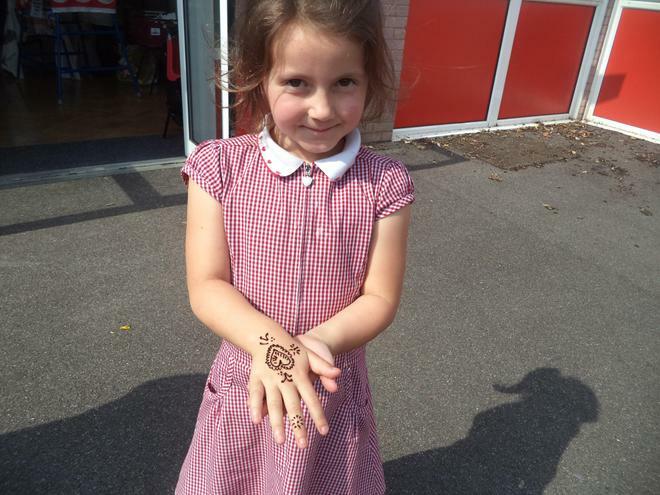 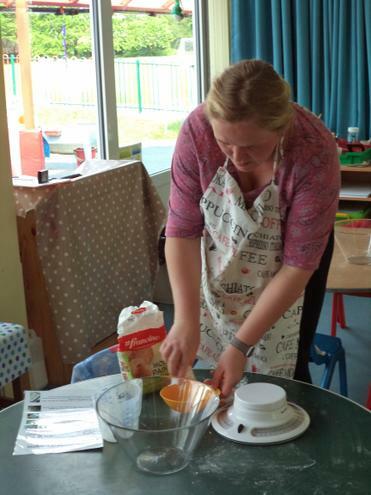 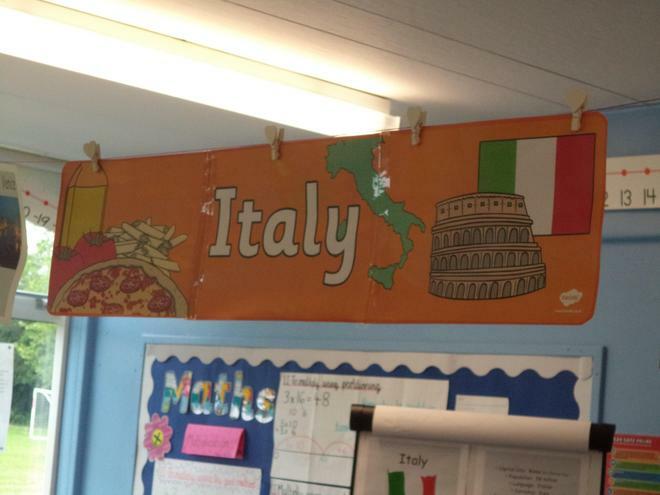 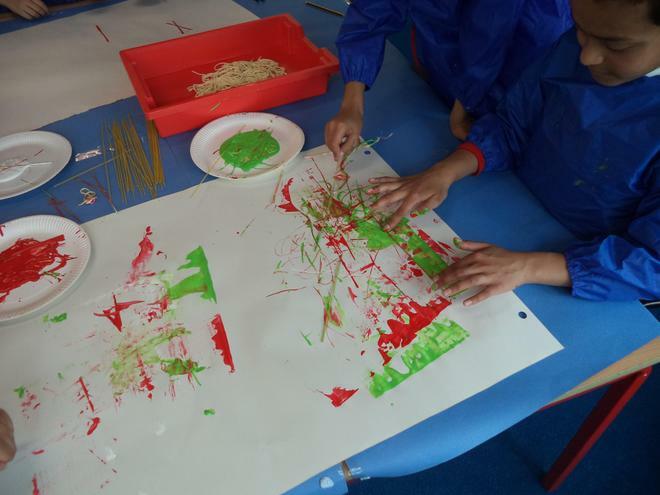 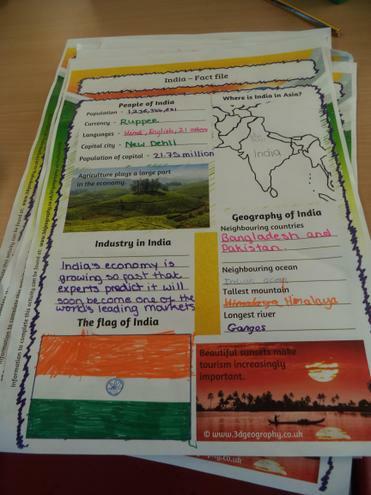 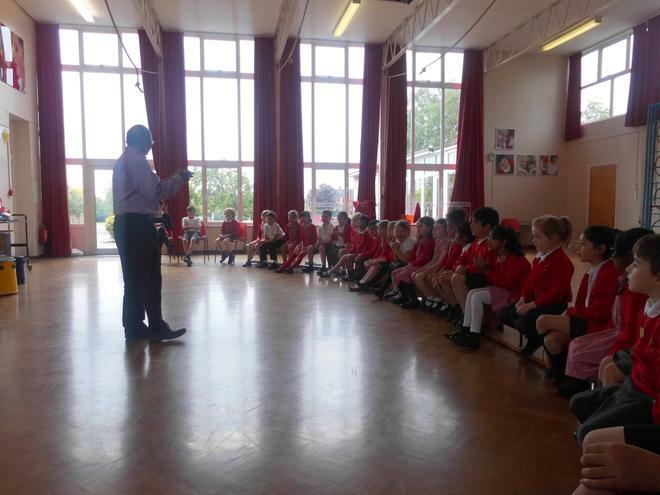 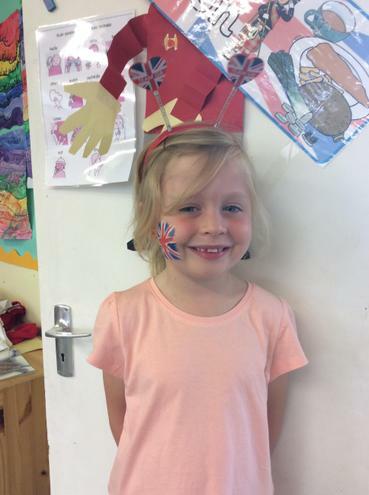 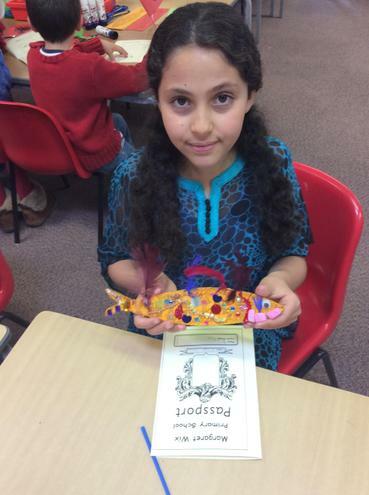 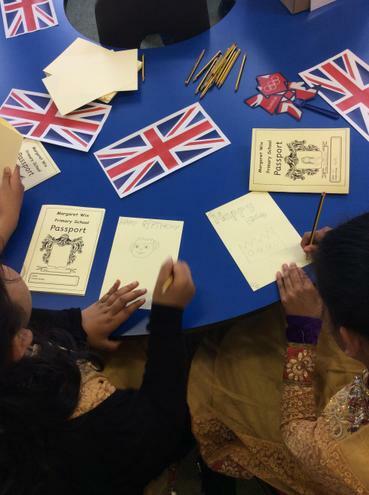 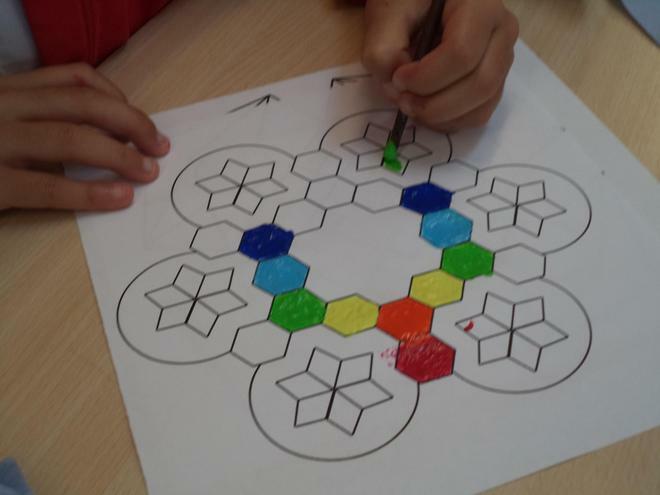 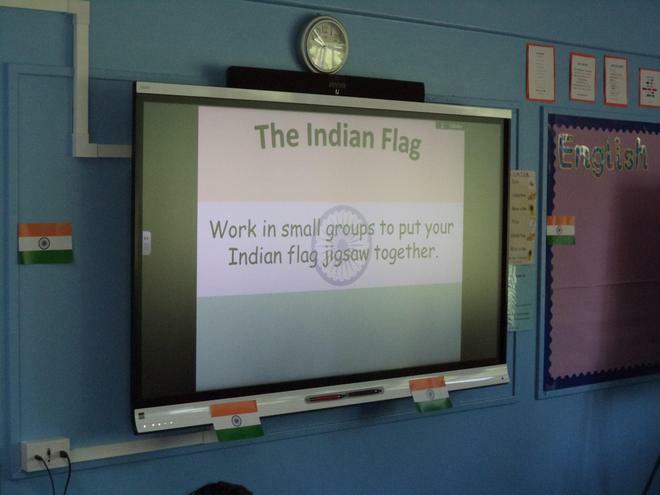 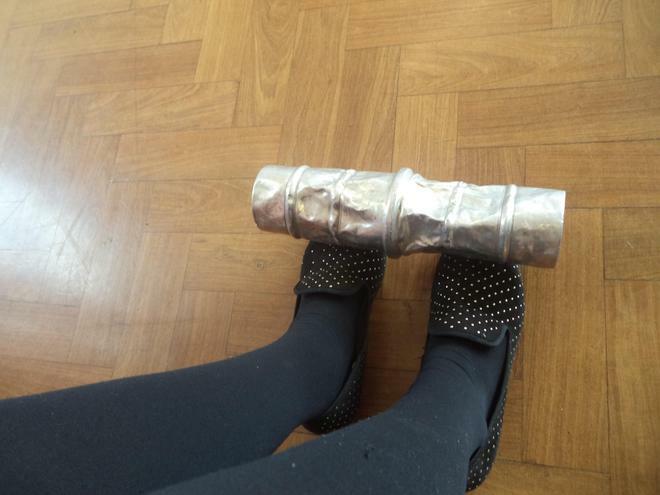 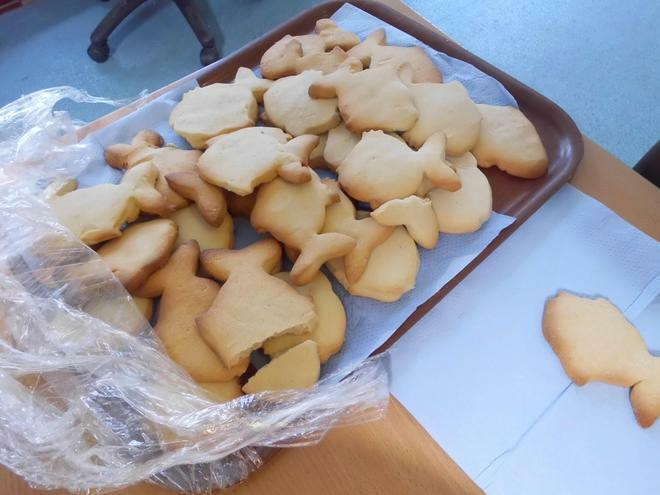 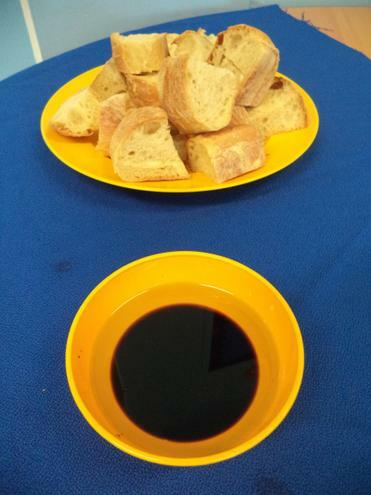 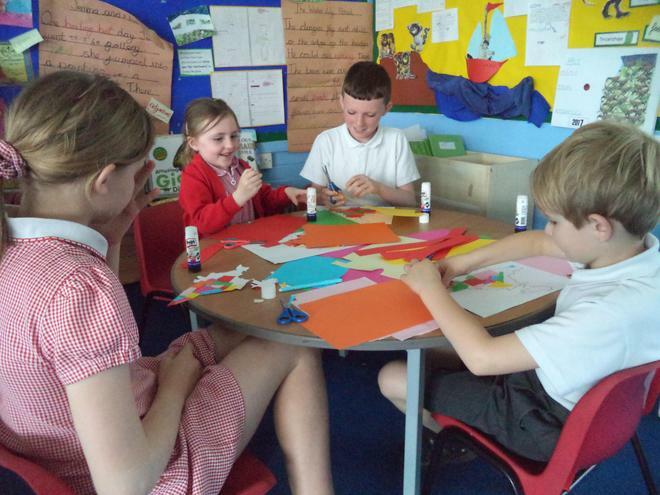 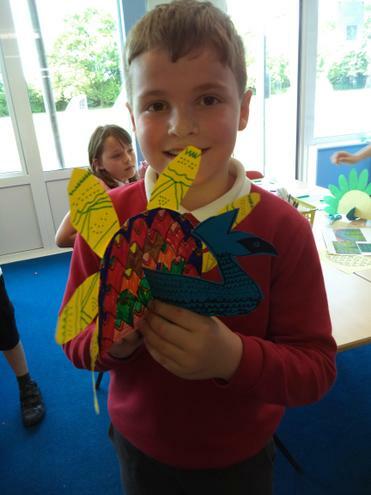 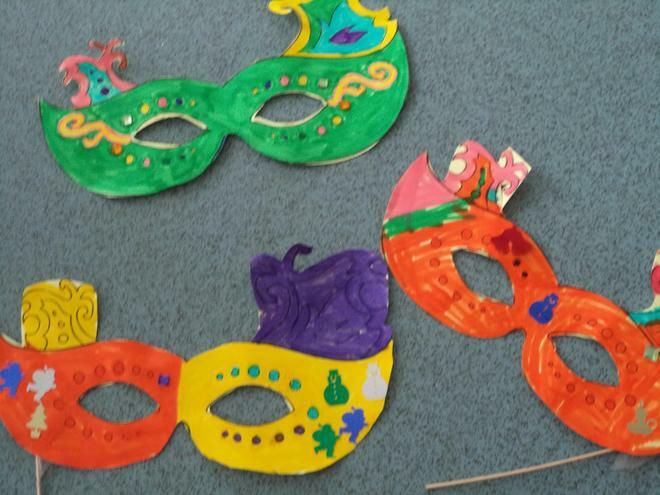 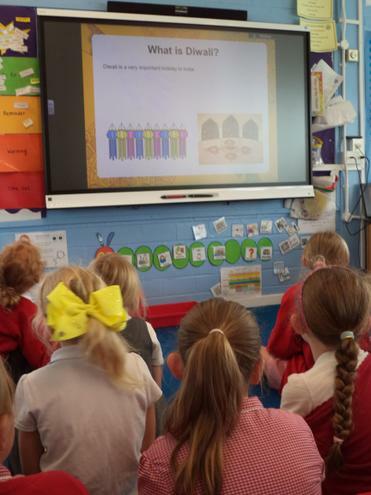 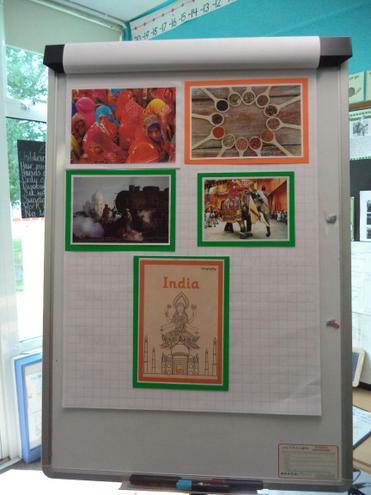 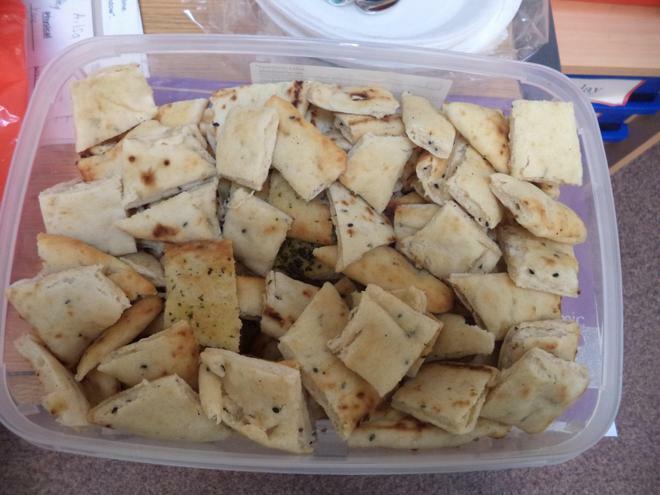 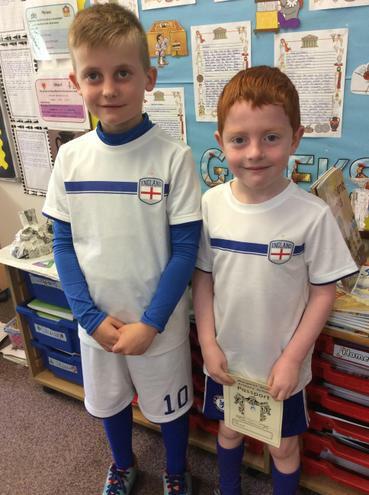 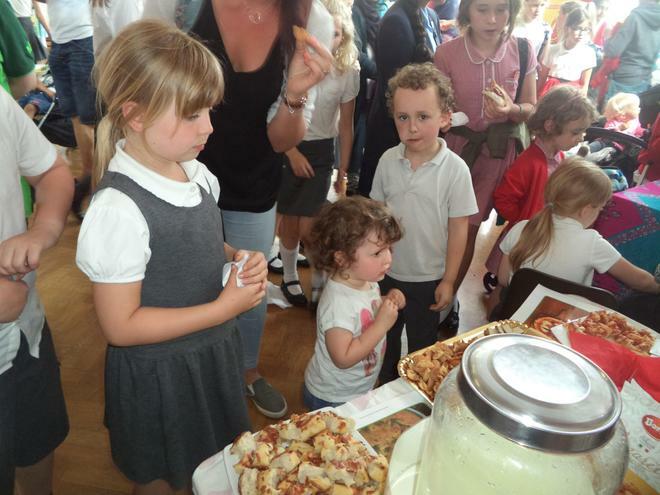 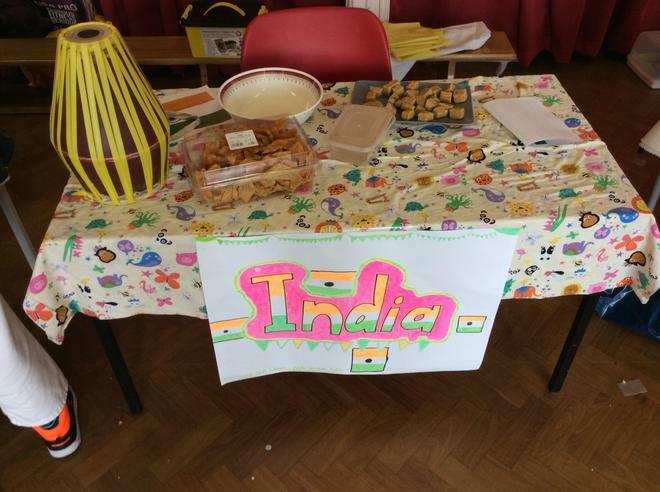 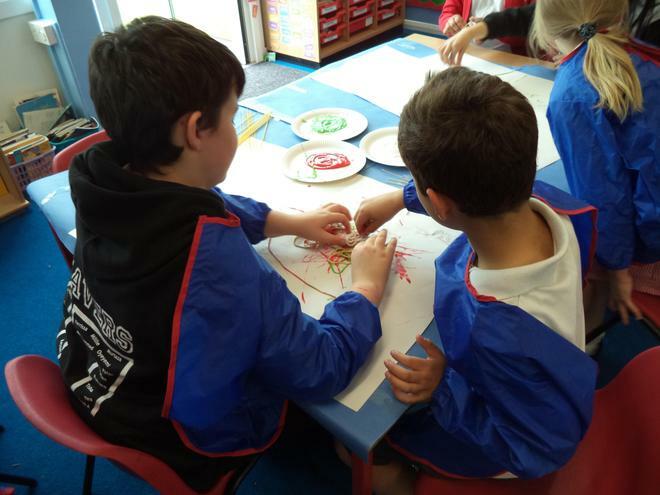 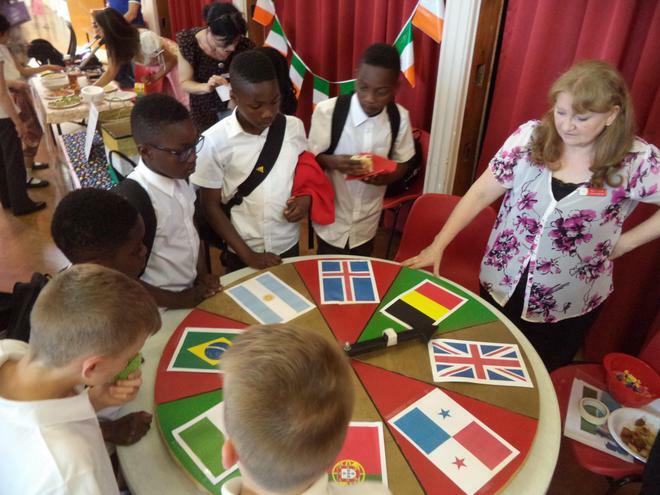 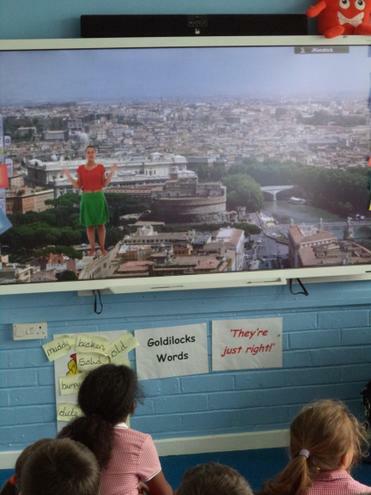 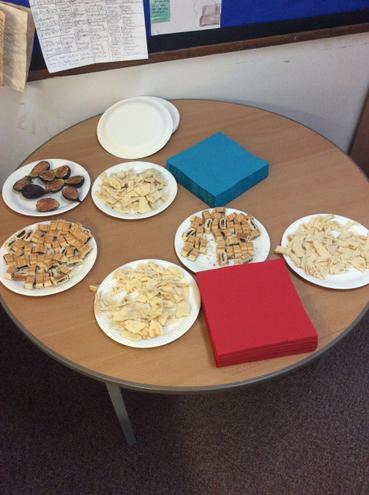 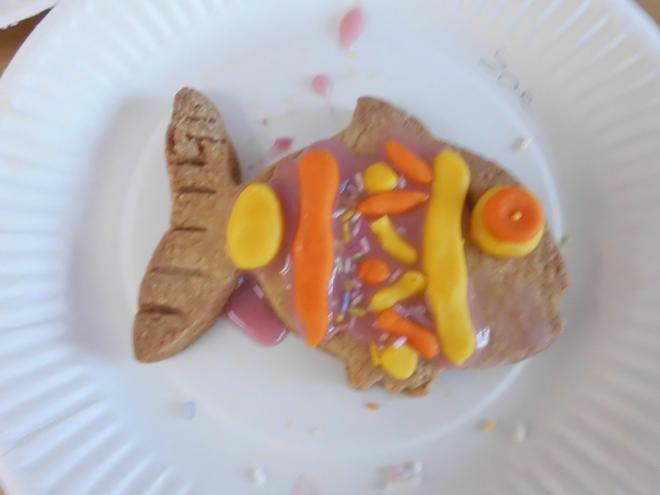 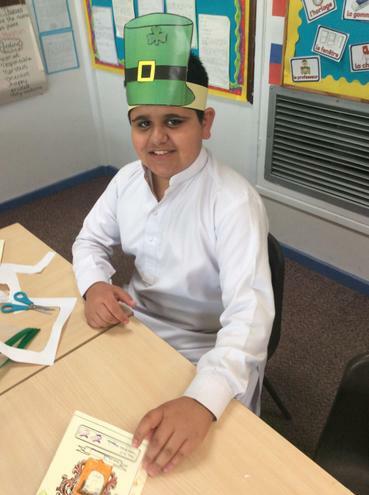 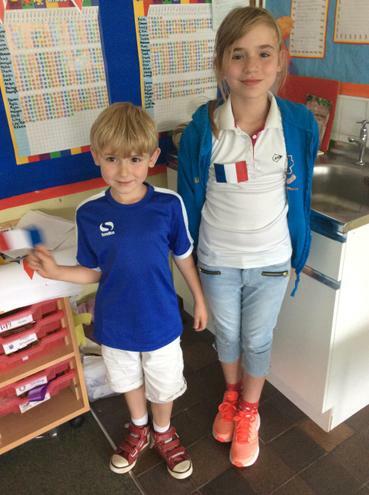 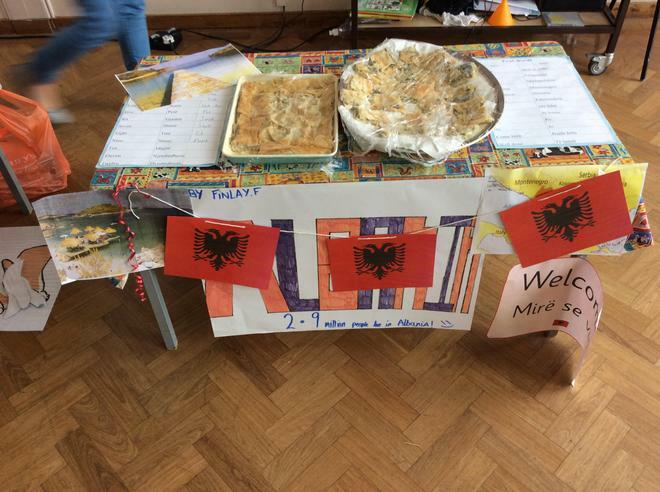 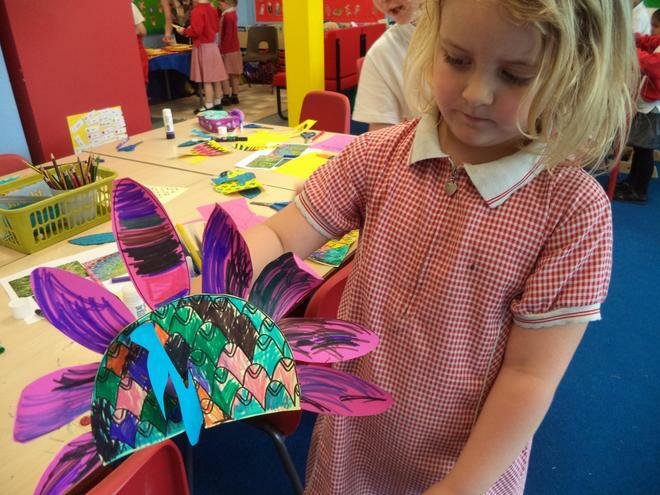 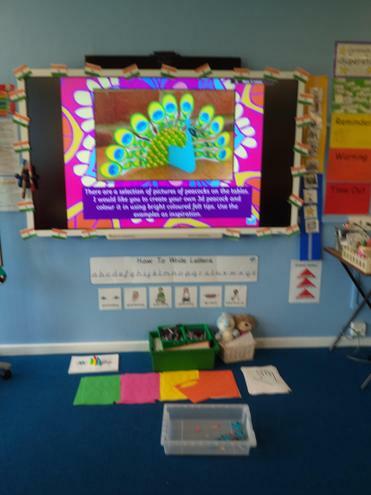 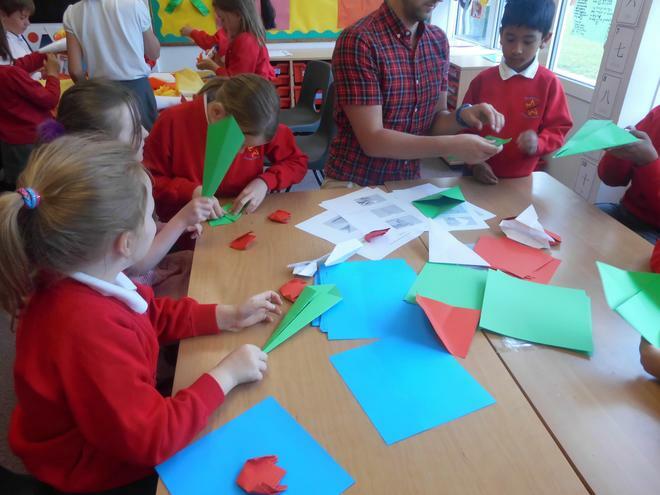 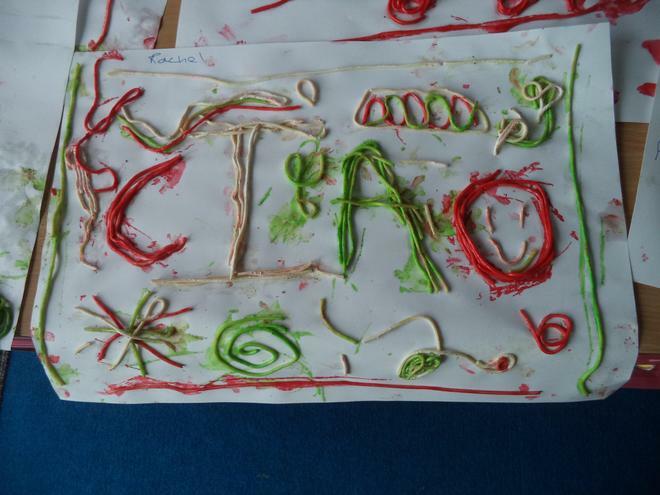 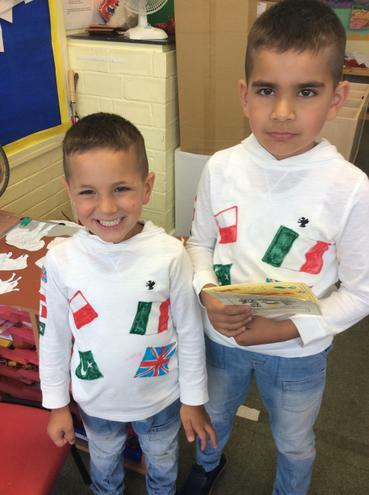 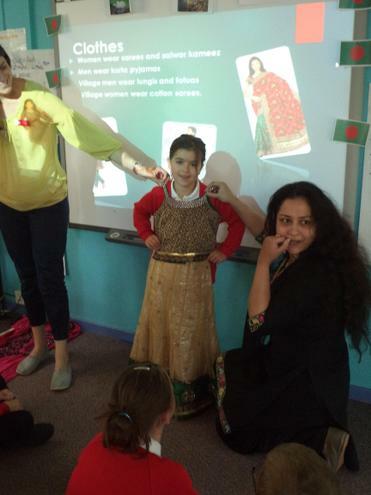 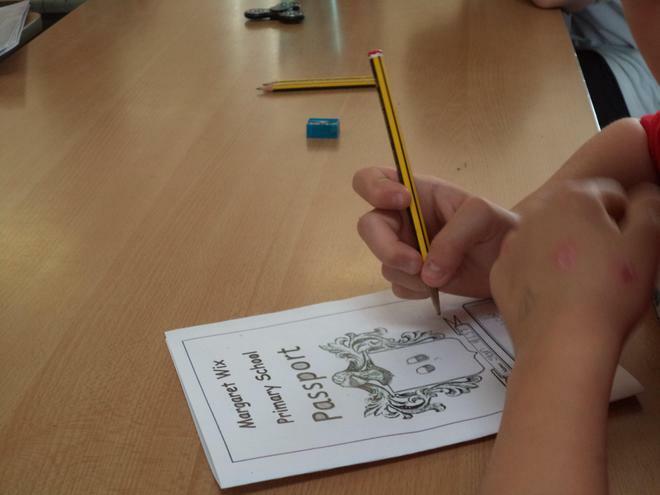 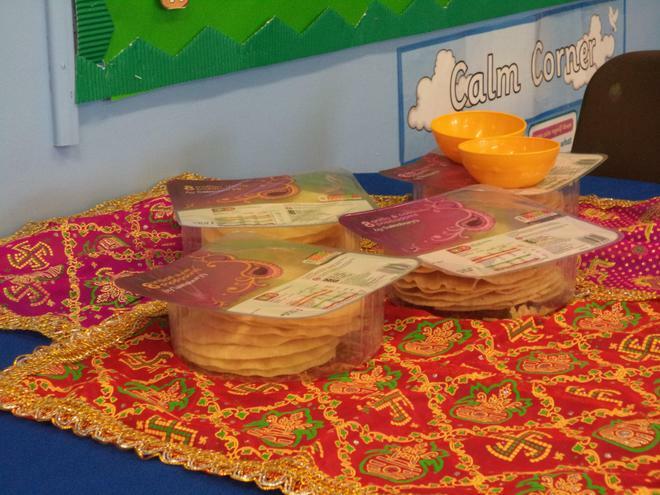 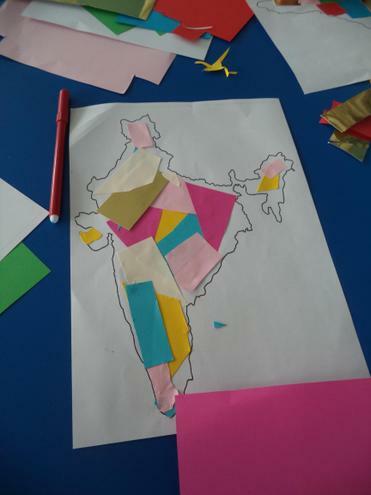 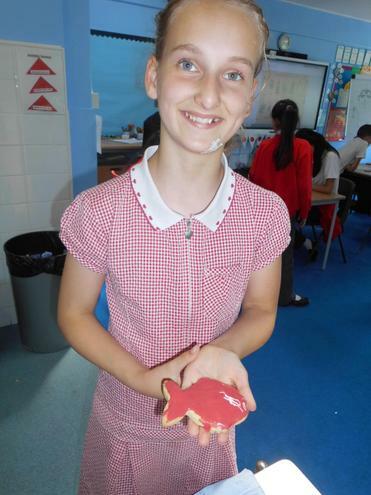 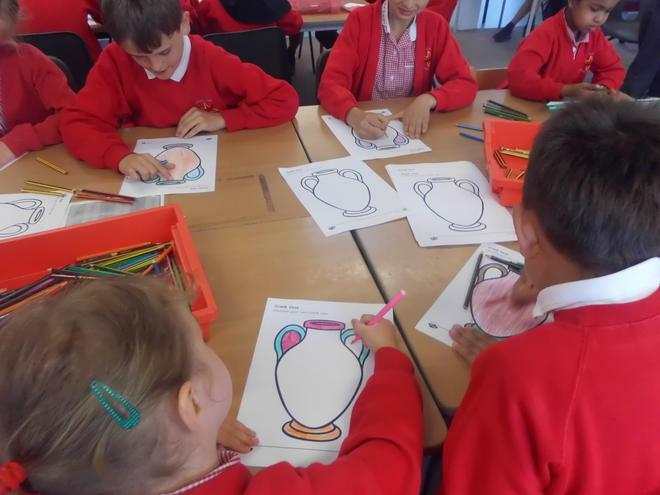 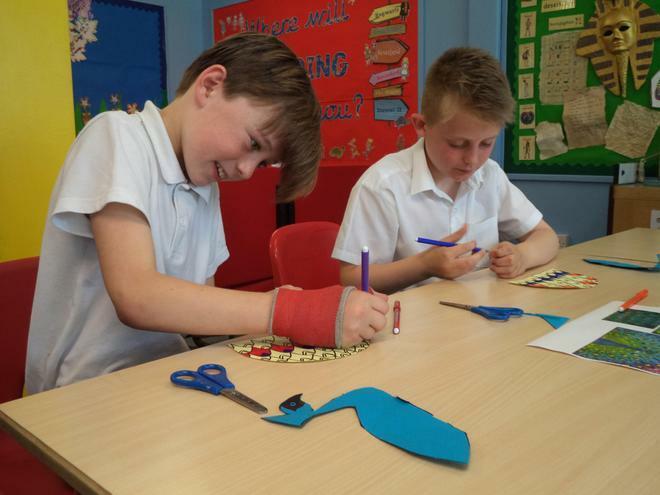 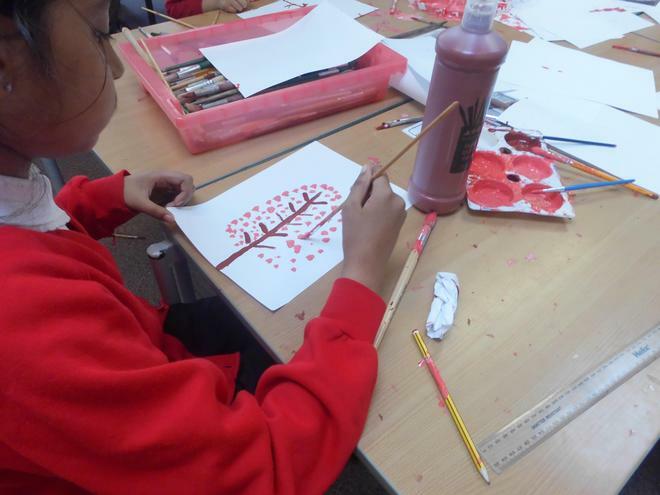 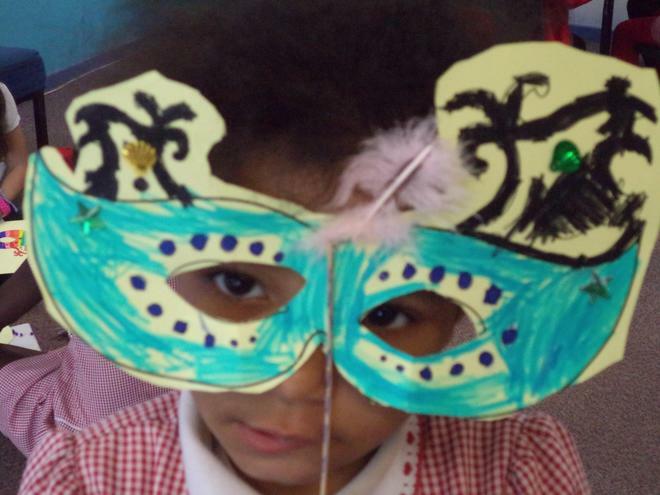 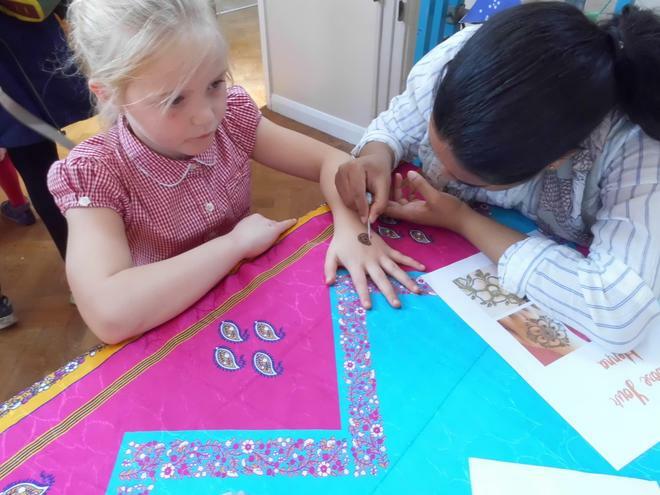 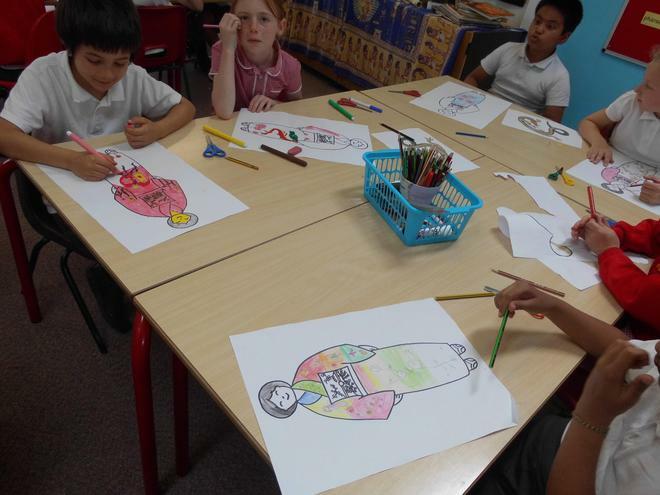 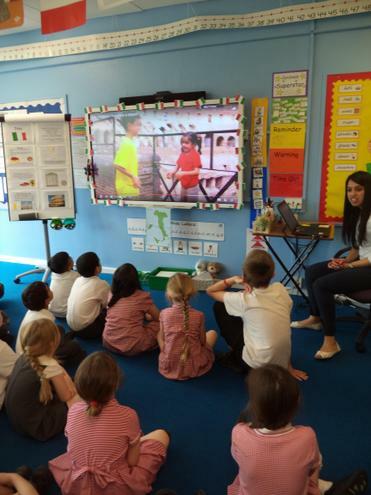 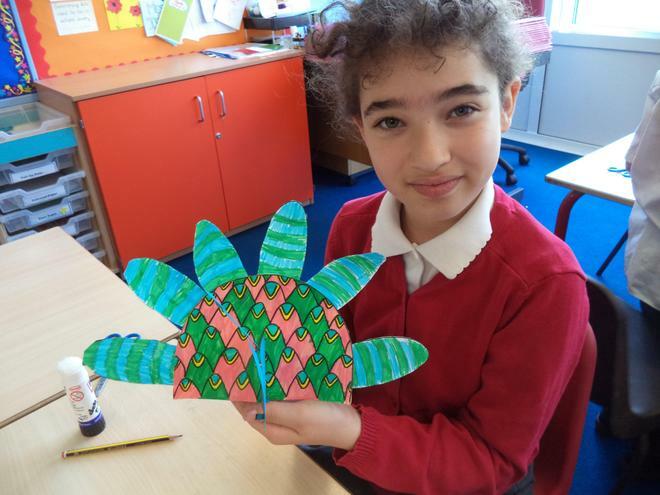 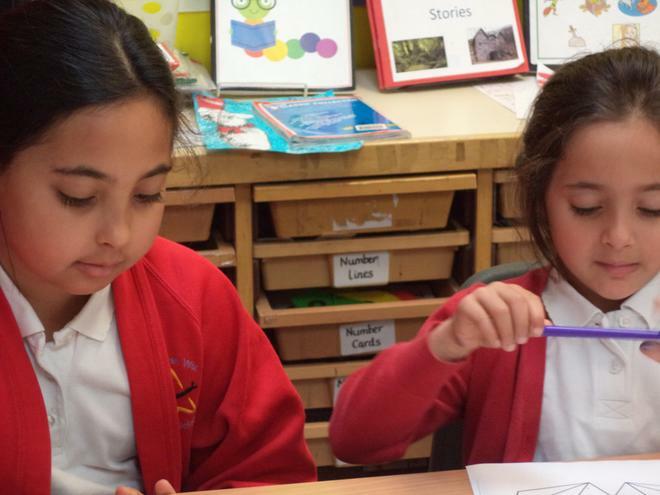 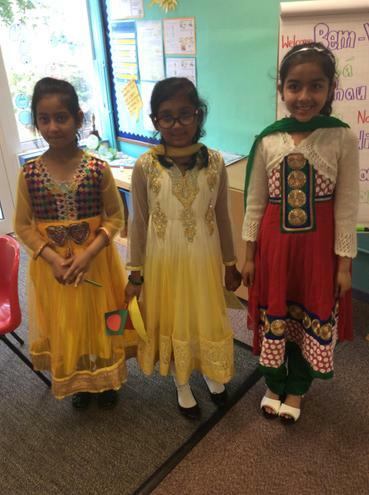 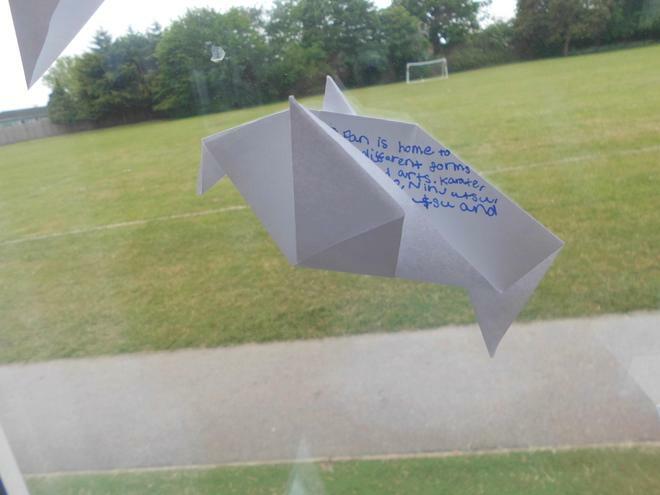 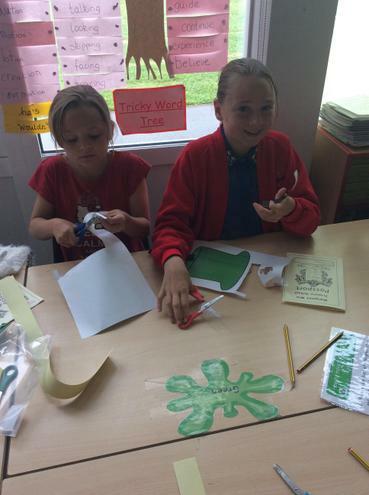 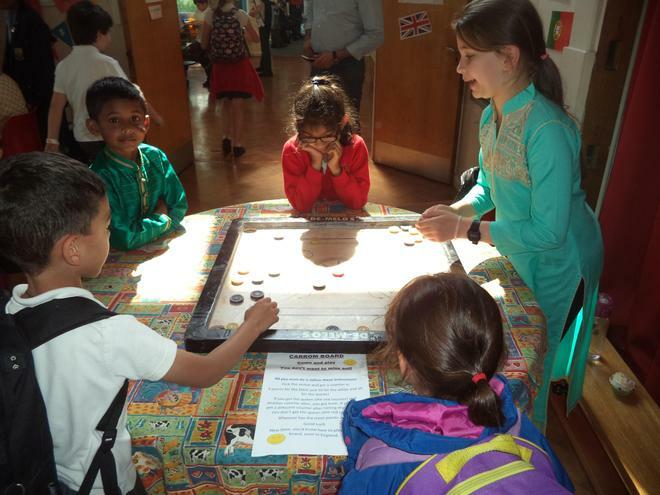 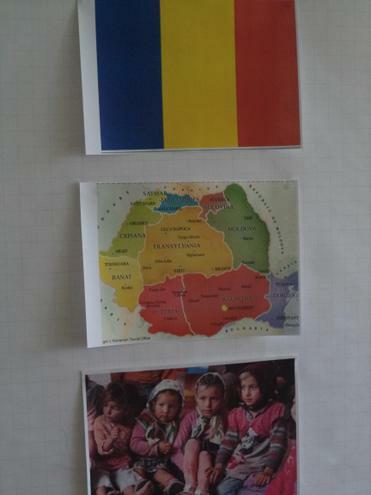 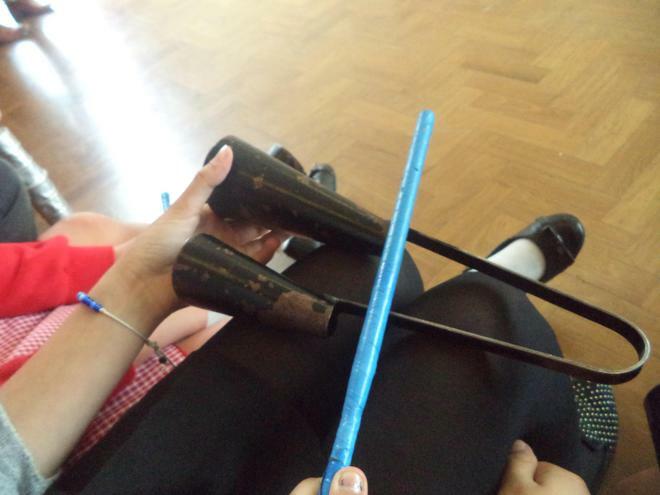 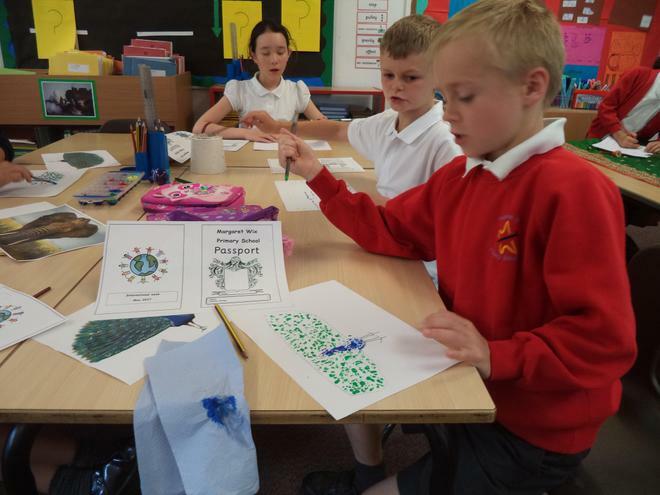 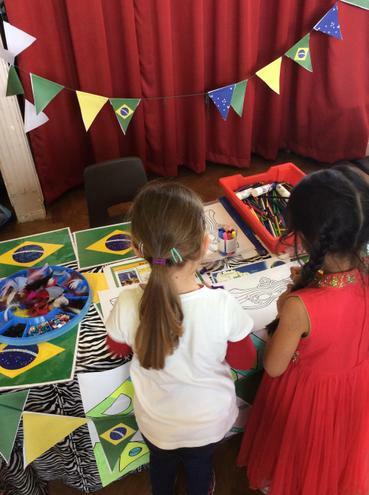 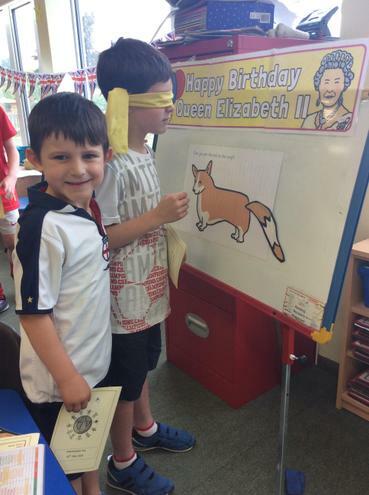 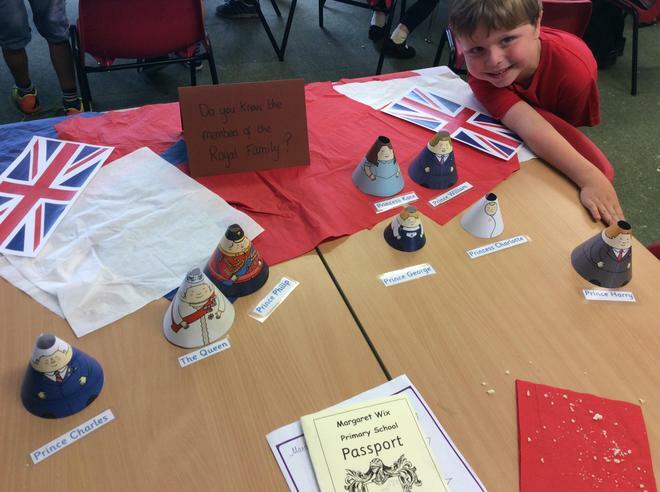 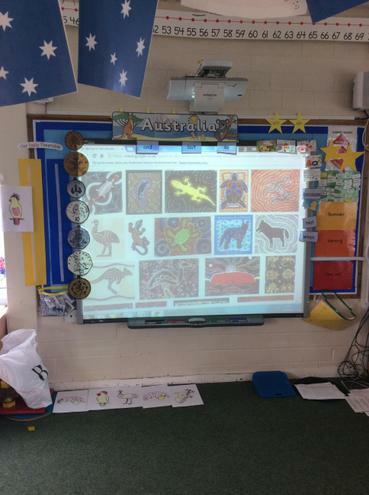 The children learnt about the cultures of two countries this year: India and Italy. 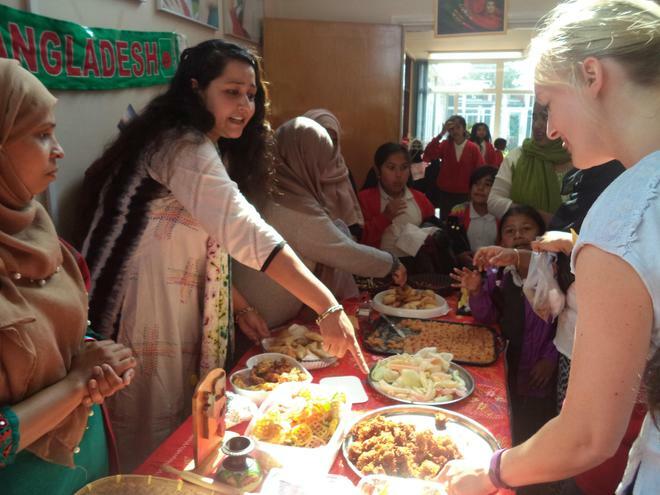 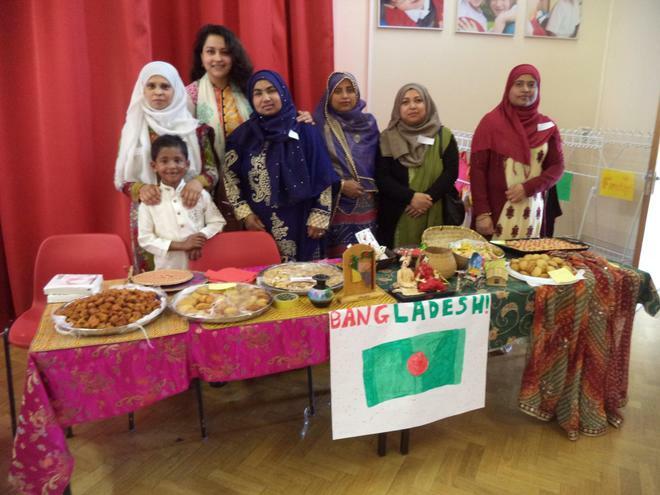 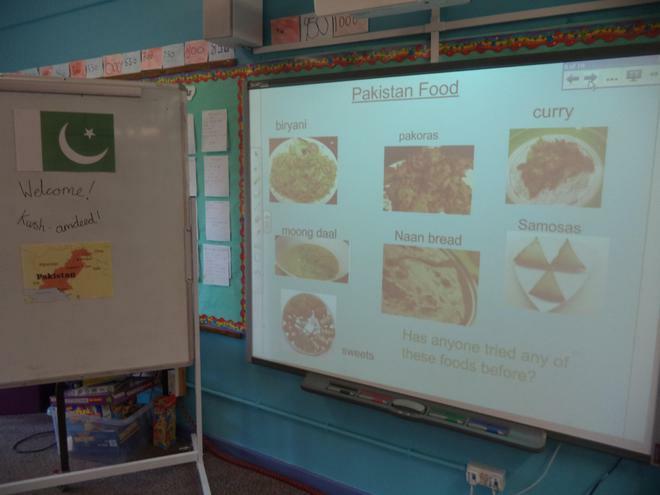 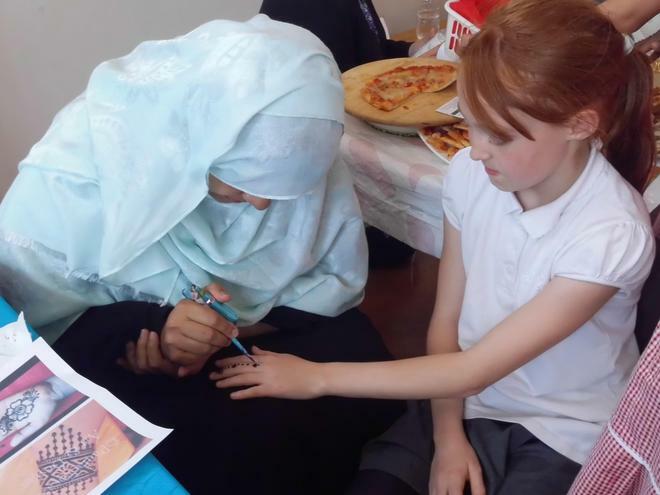 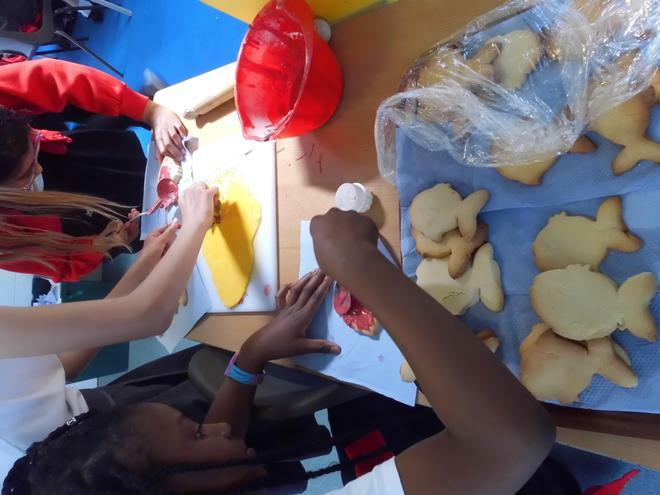 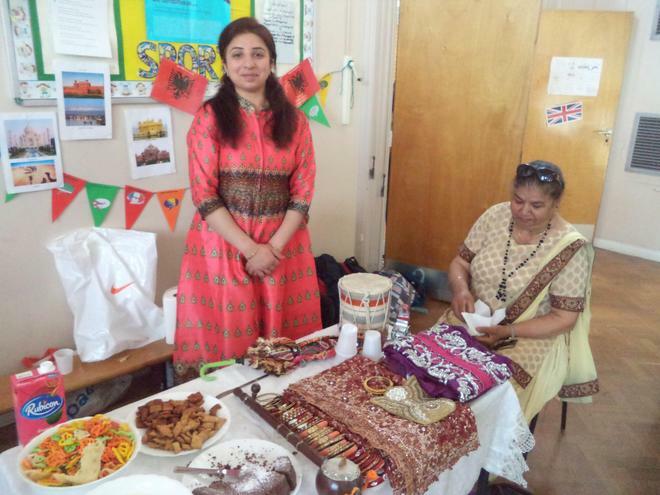 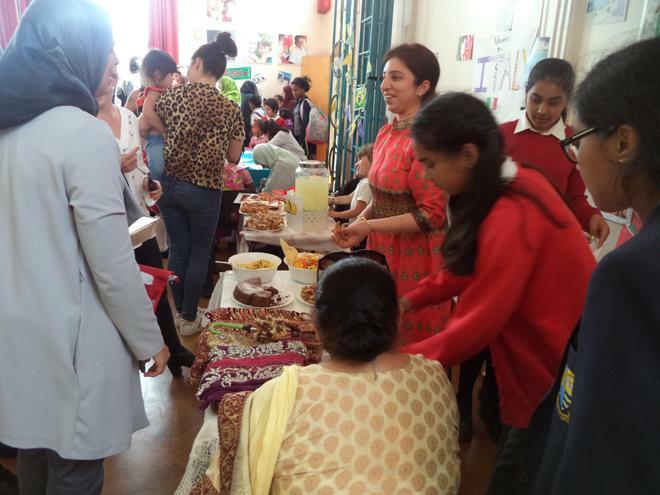 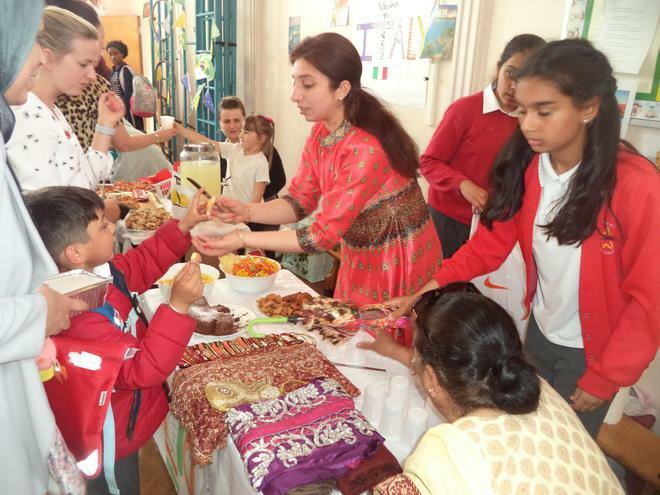 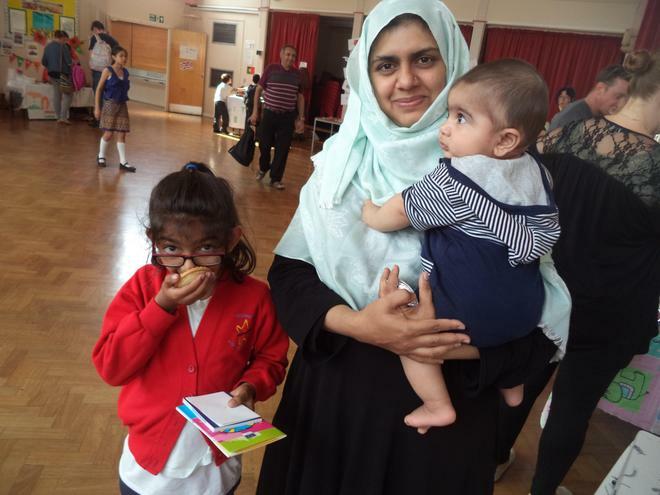 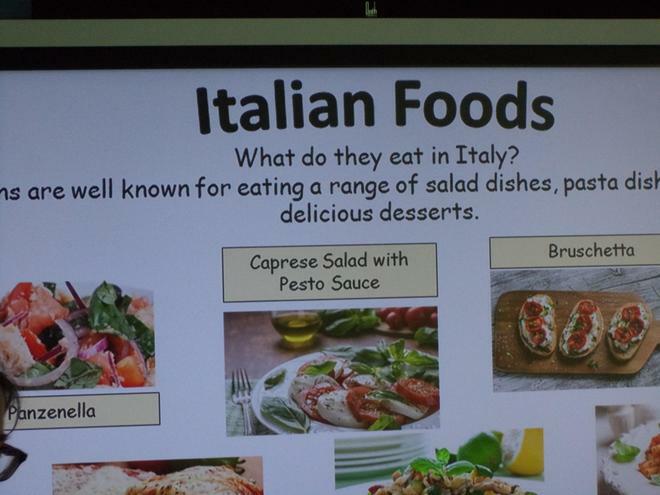 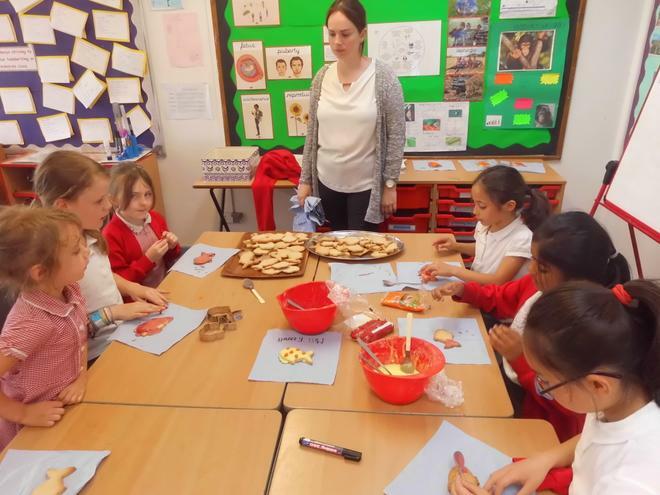 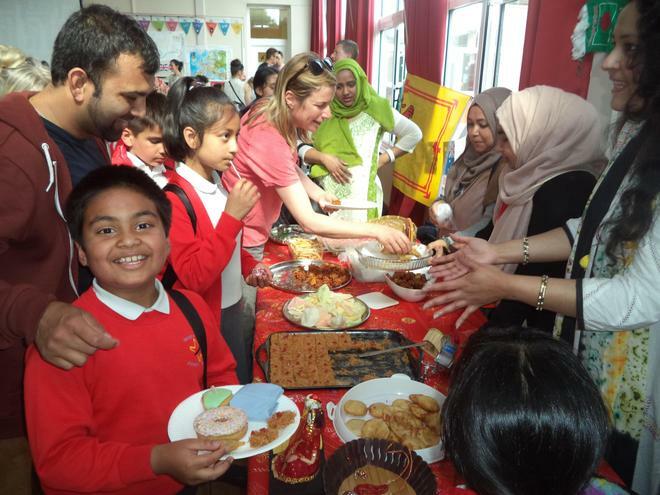 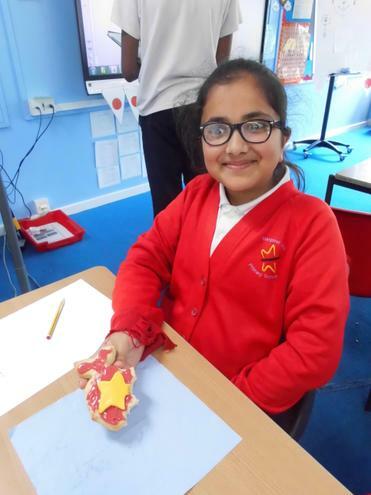 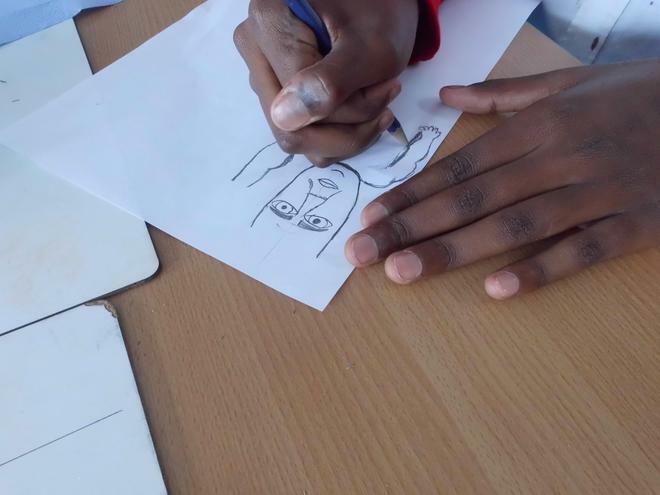 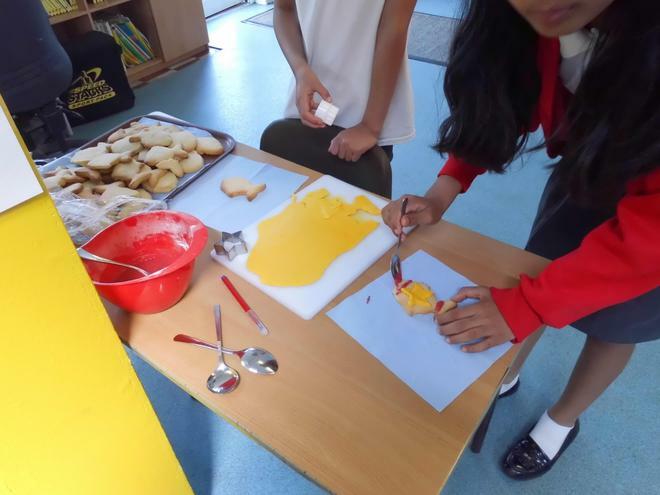 They spent time in their family groups learning about the languages spoken there, the culture, the features of the country and of course, they had the chance to taste some Indian and Italian food! 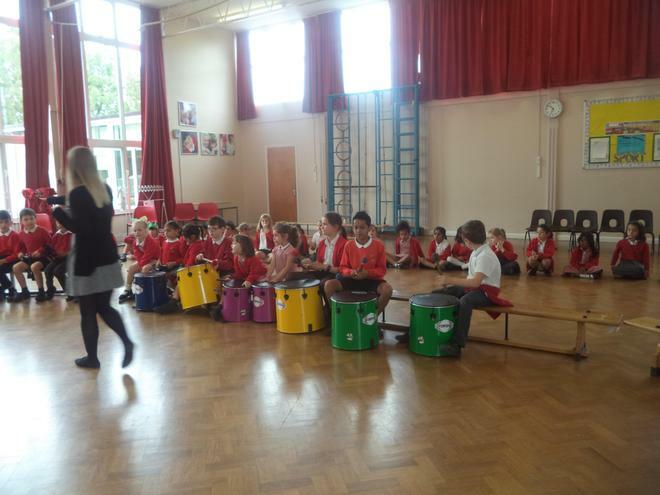 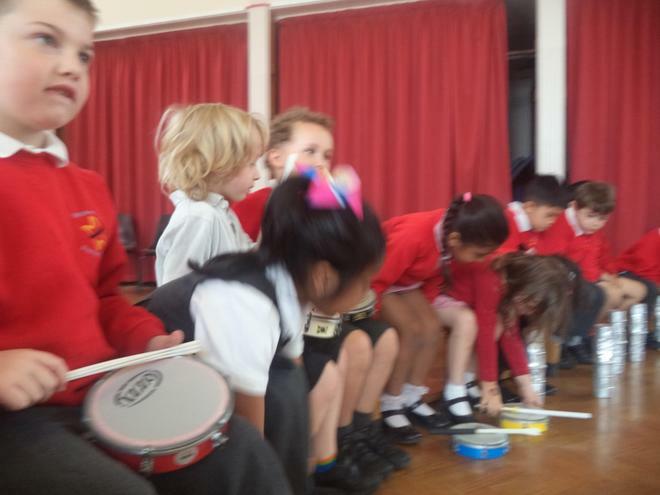 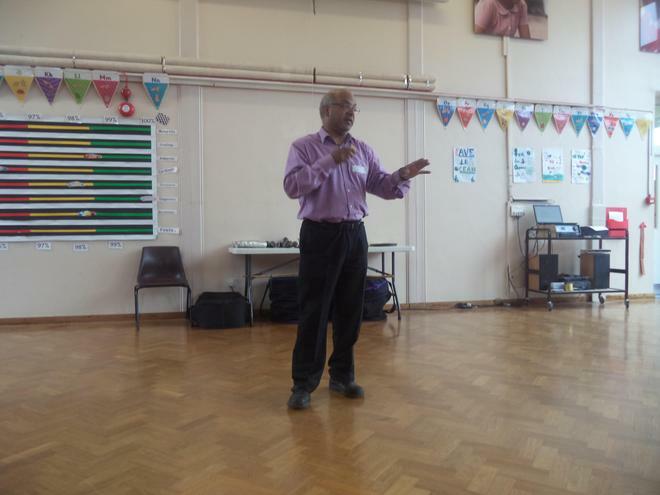 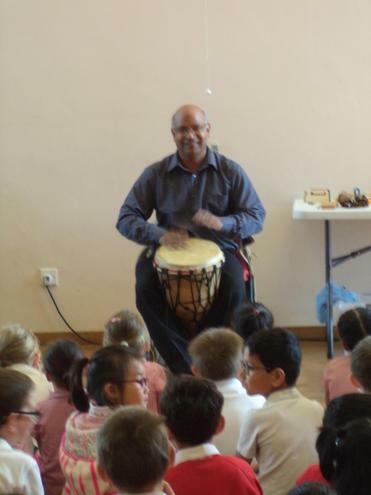 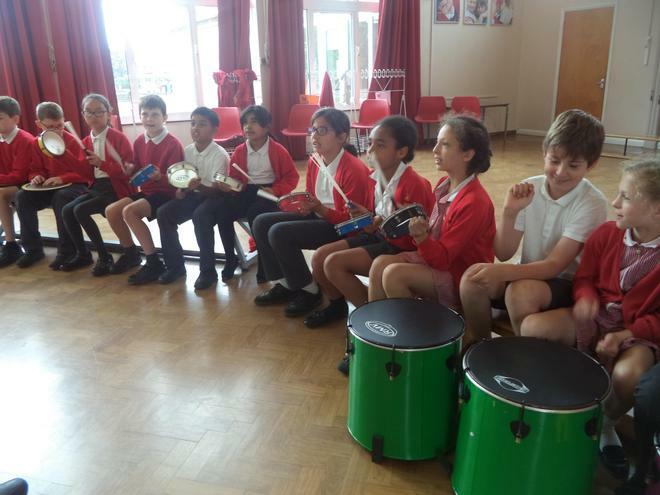 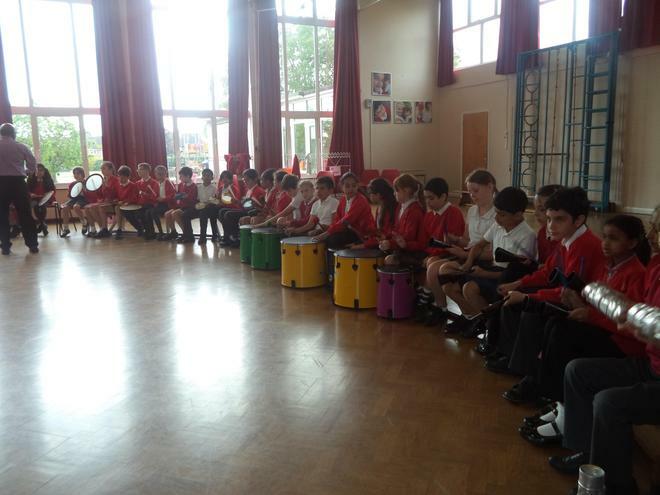 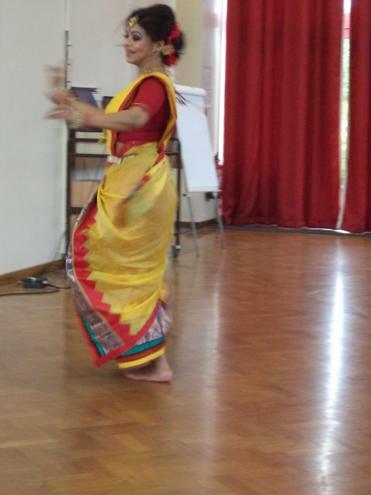 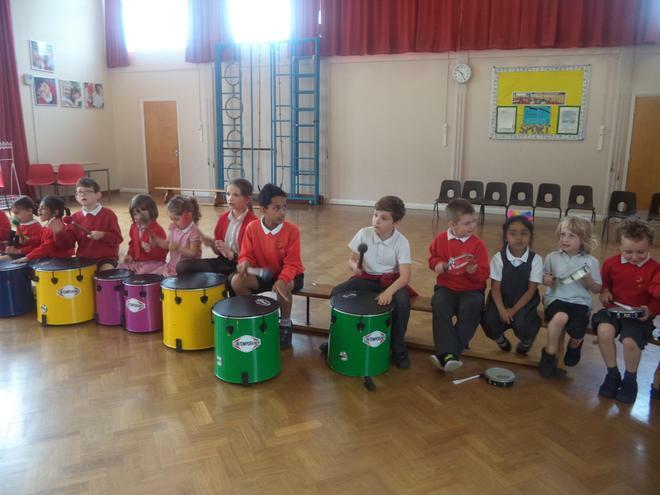 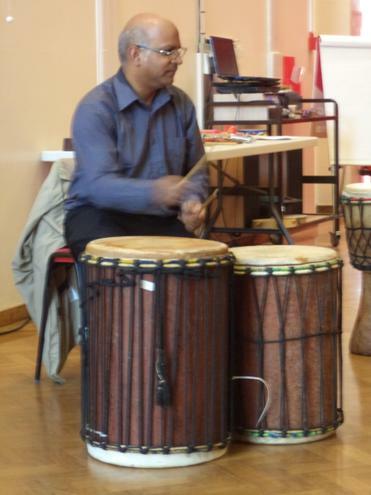 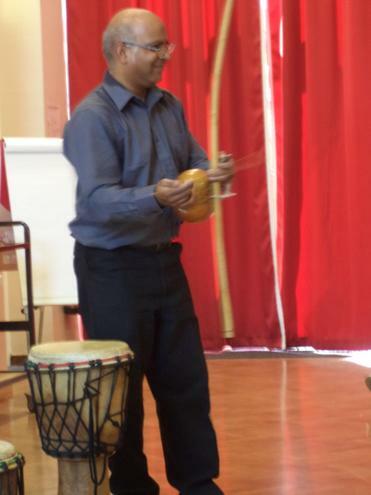 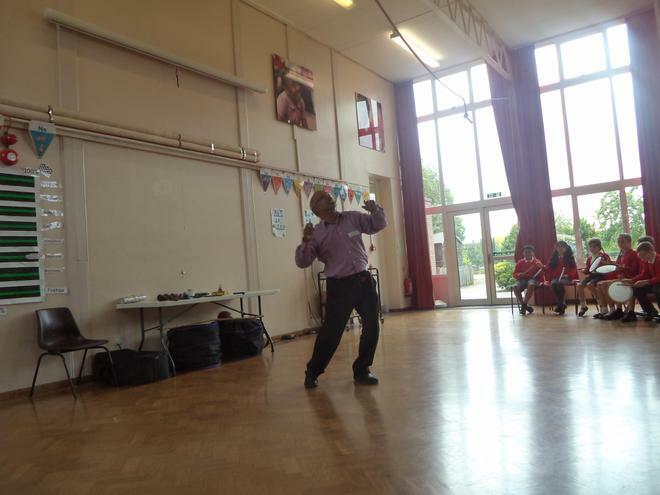 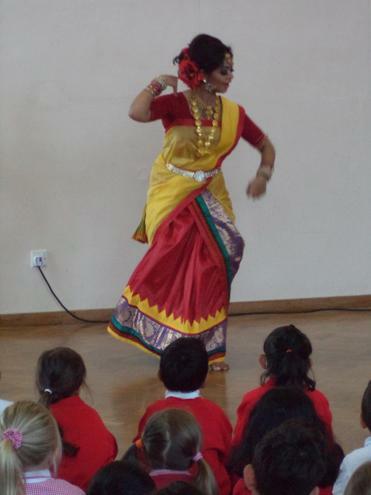 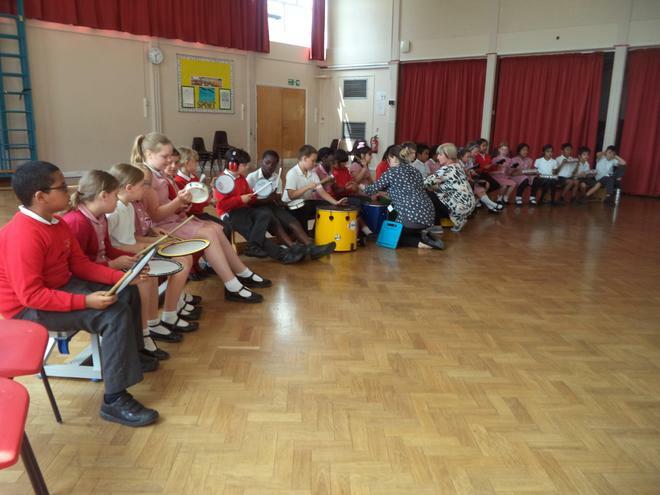 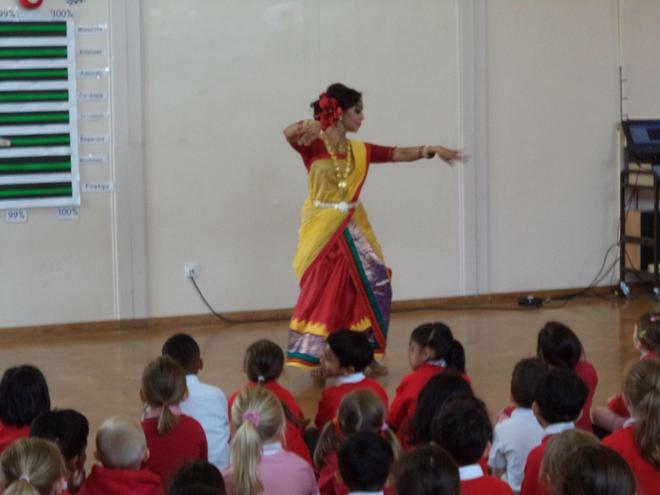 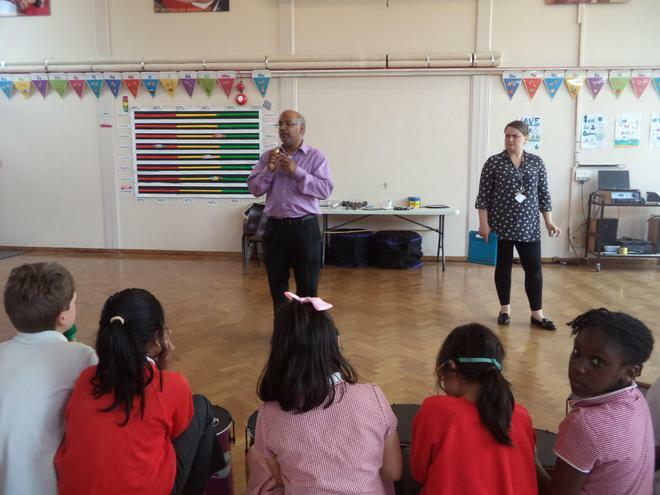 We had a performance from a professional Bangla dancer and all the children took part in an African drumming workshop. 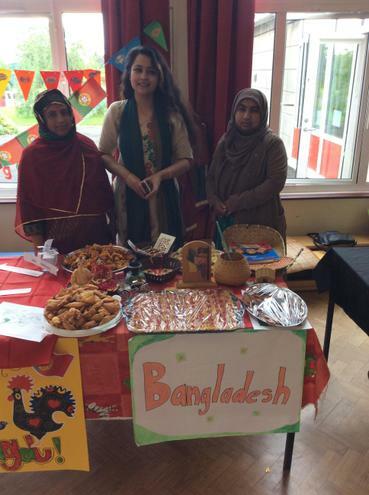 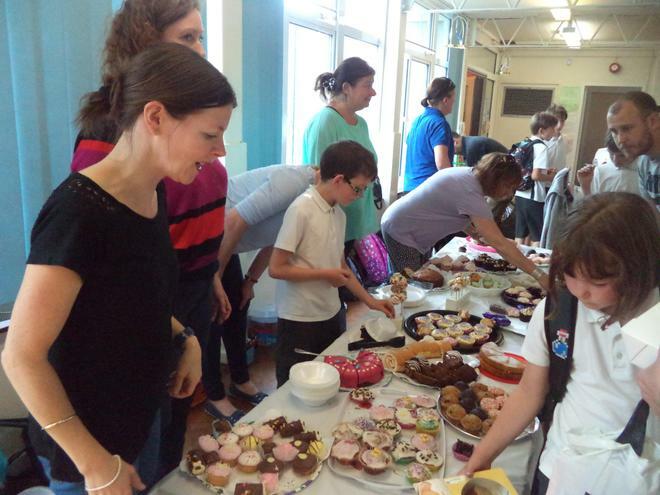 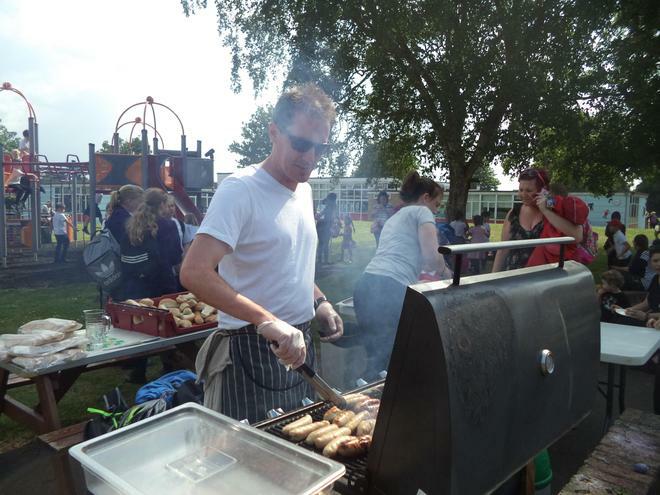 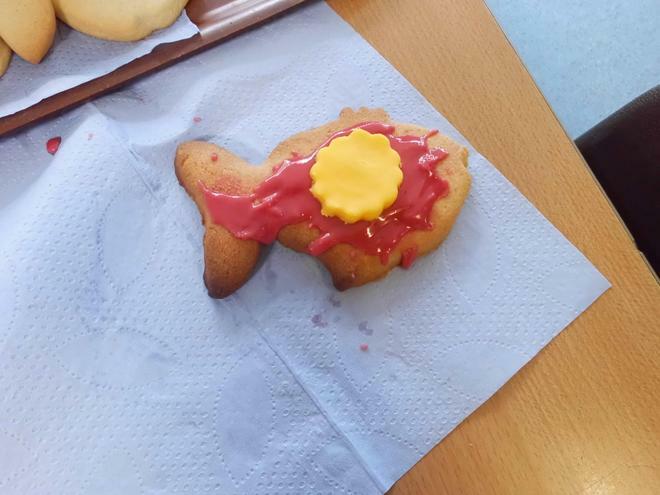 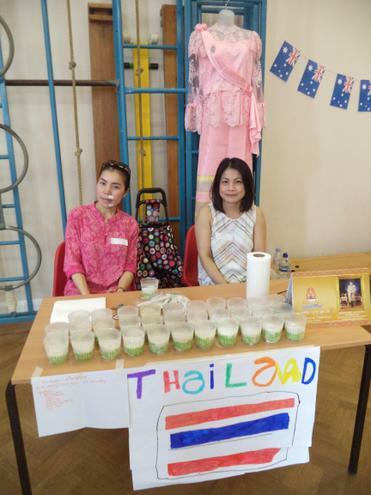 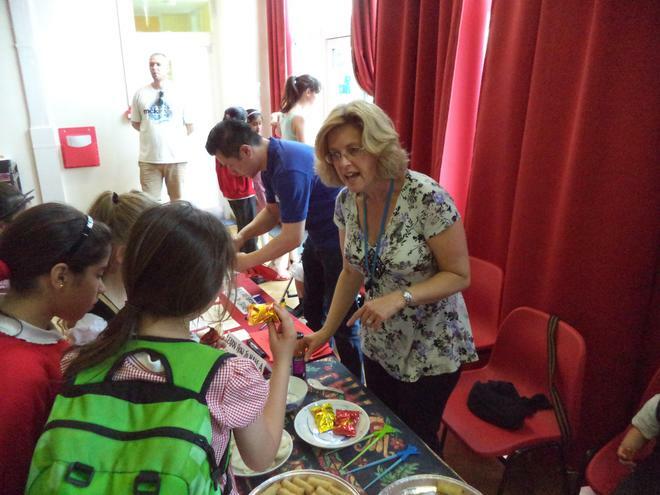 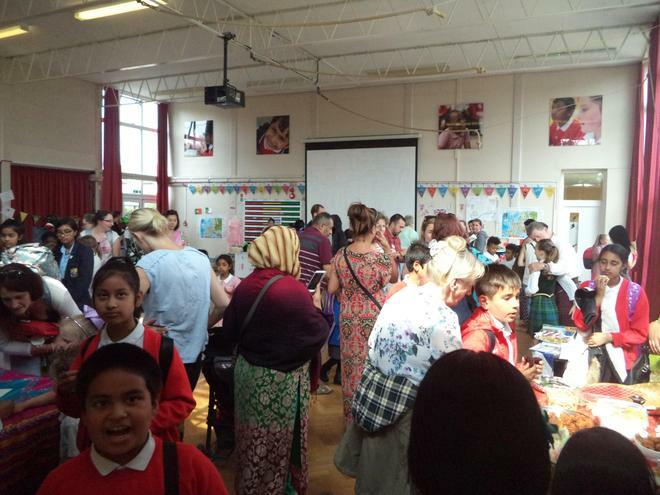 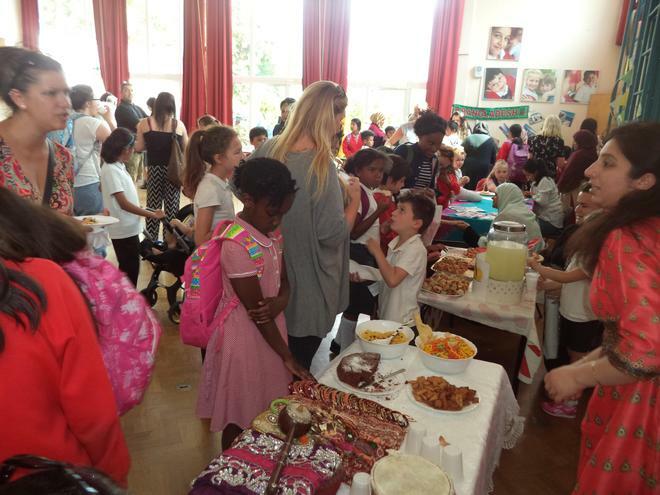 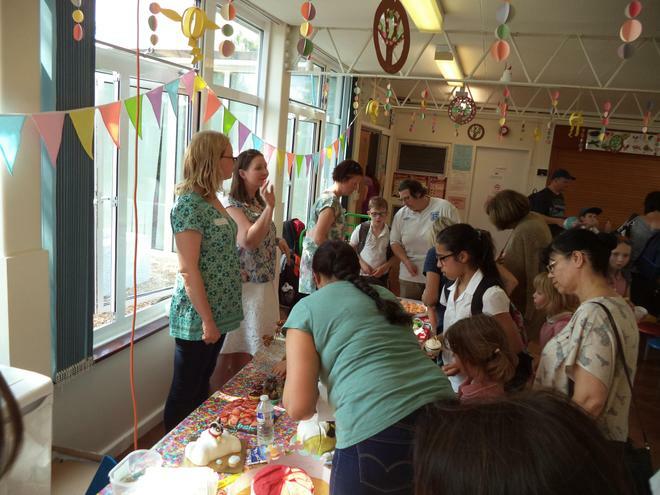 This year's International Food Fair was better than ever, with Mr. Johnson on the BBQ again and over 12 countries represented with the help of parent and staff volunteers. 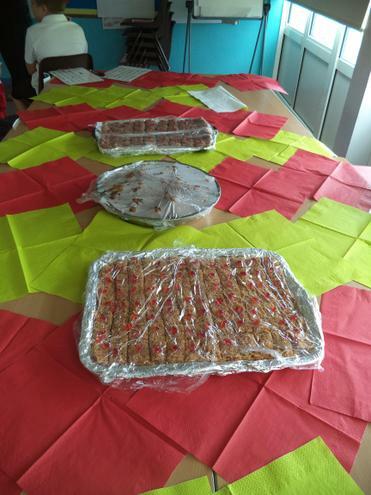 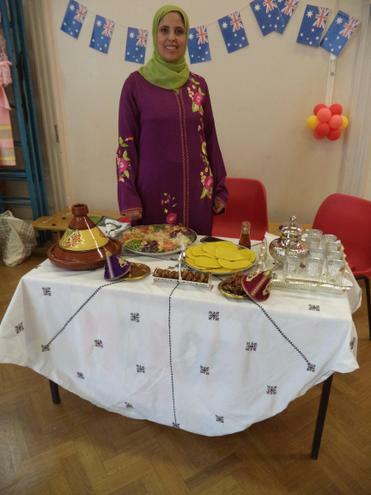 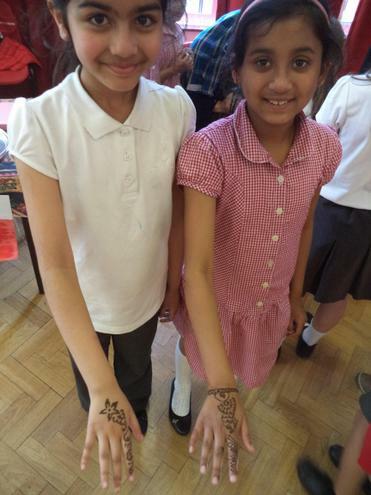 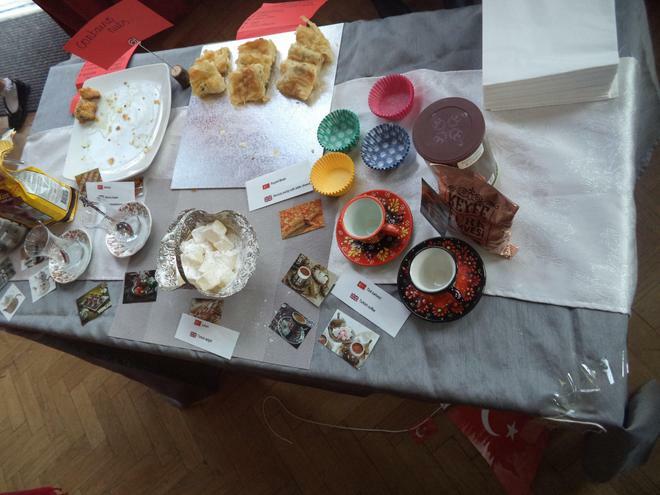 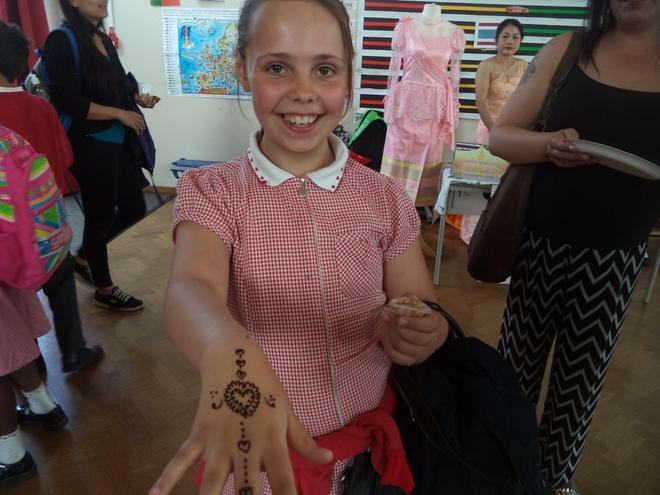 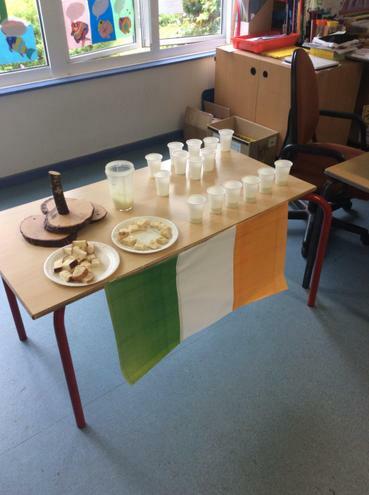 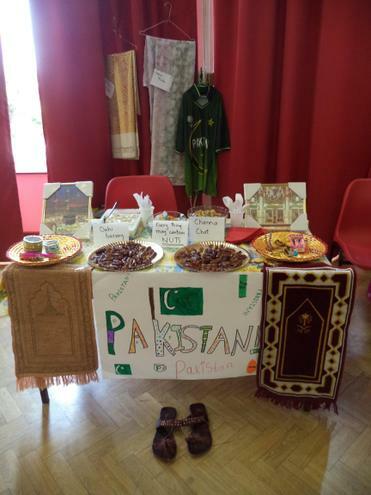 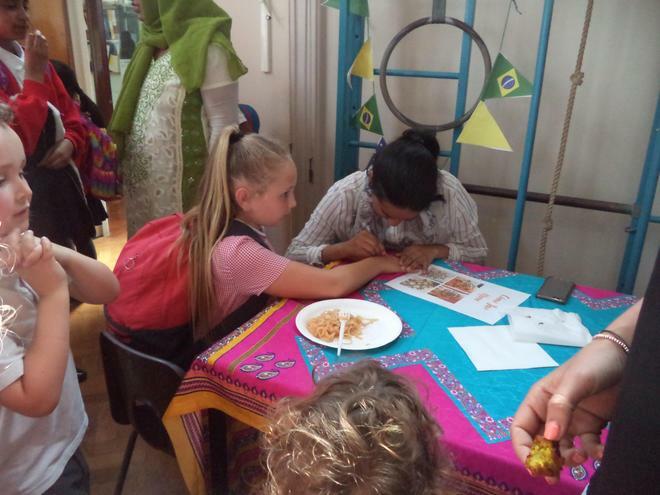 There was food galore to try, an Irish quiz, Guess the country spin the wheel and Henna designs too! 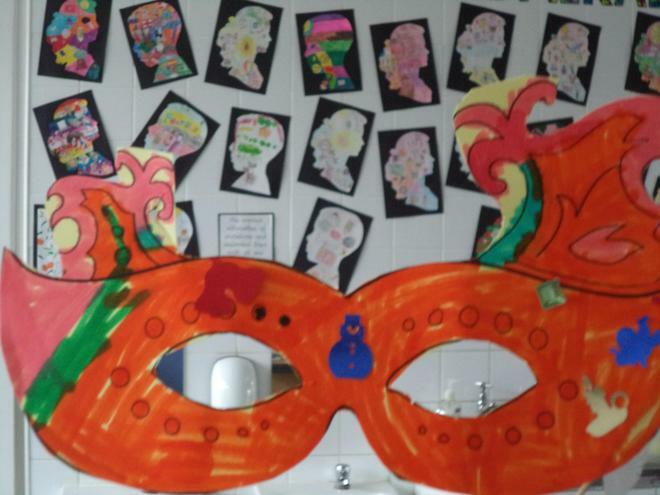 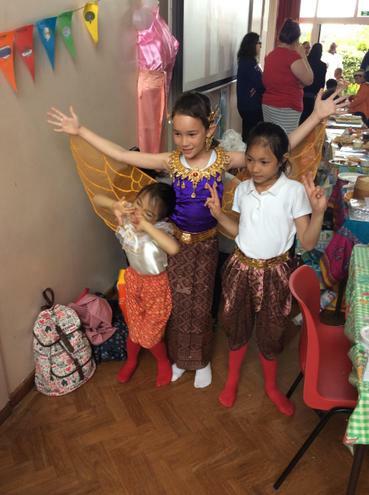 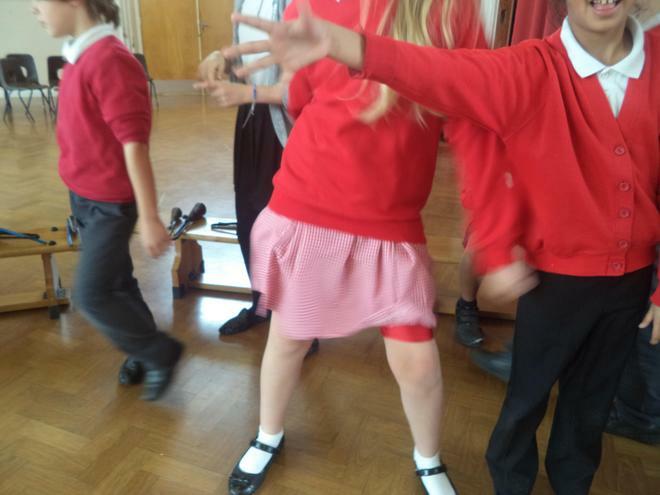 The week concluded with the International Dance fair, which saw the whole school performing dances from all over the world on the KS2 playground in front of the parents. 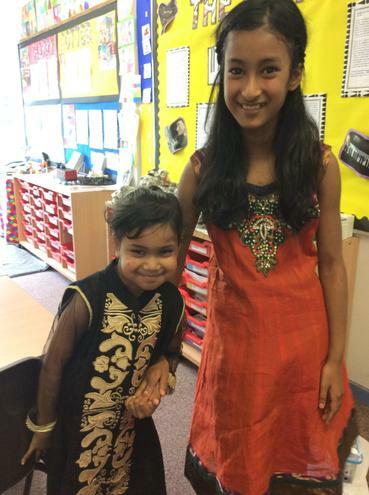 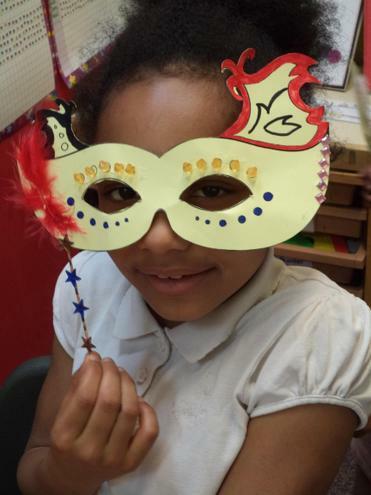 The children dressed up in fantastic costumes and performed beautifully despite the heat! 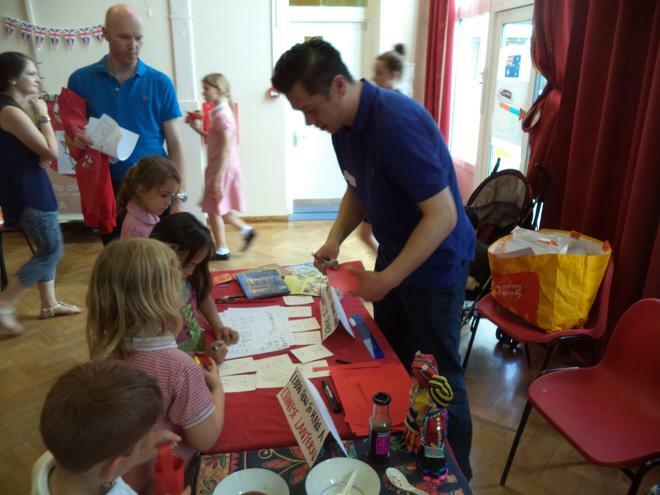 We had an excellent week and we even made the local news - twice! 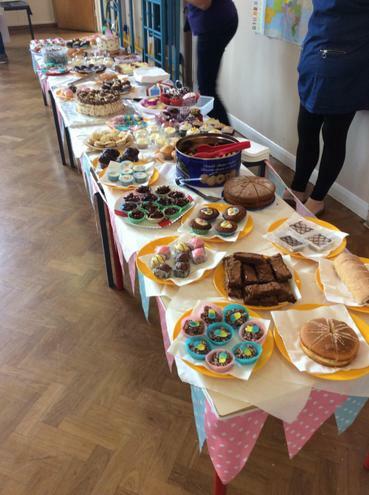 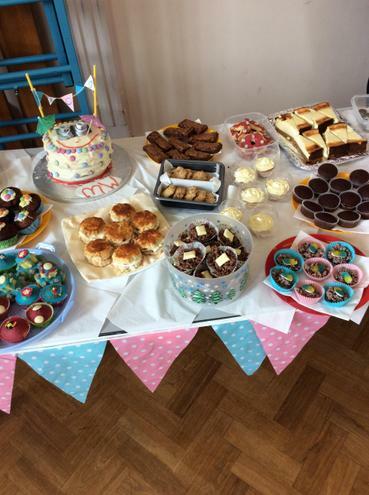 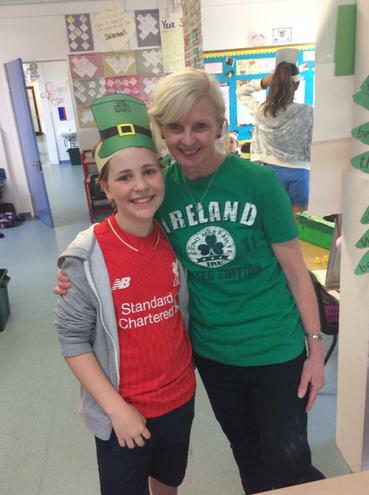 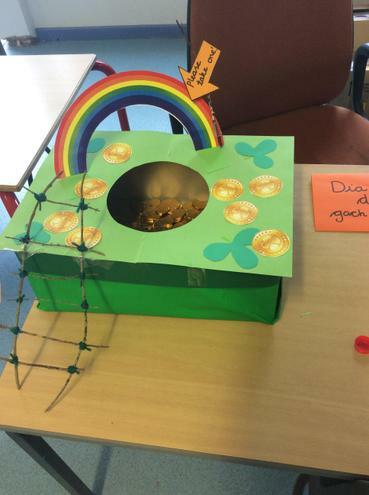 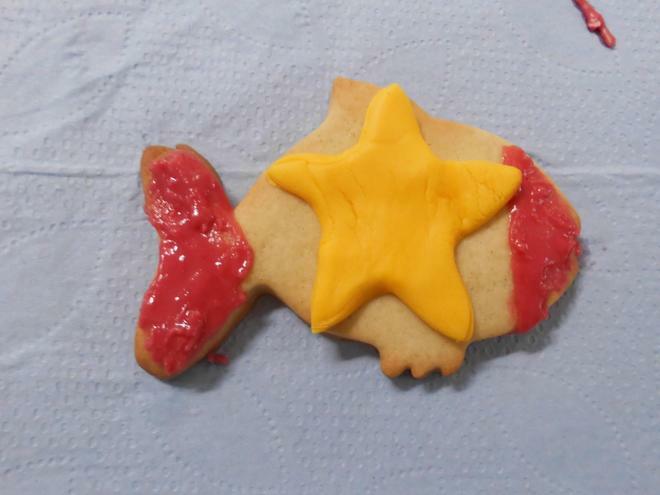 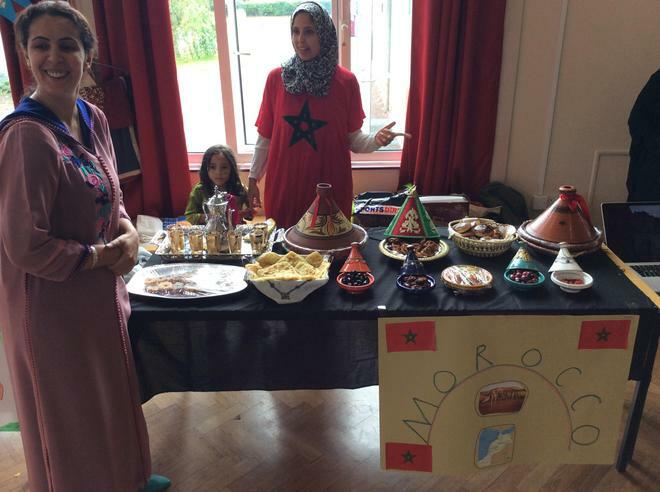 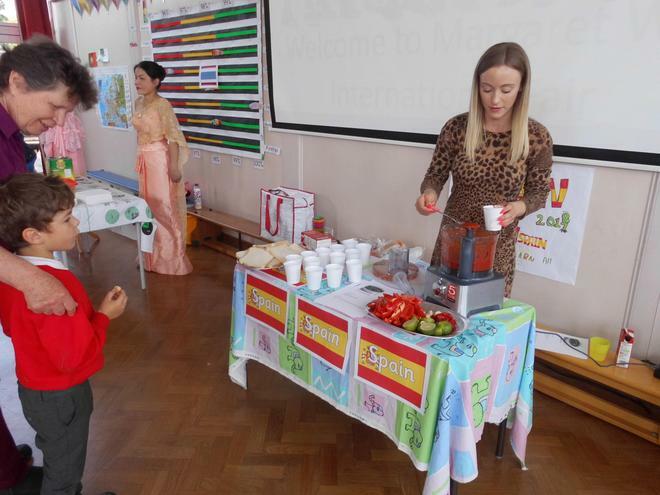 Thank you so much to everyone who made International Week such a success. 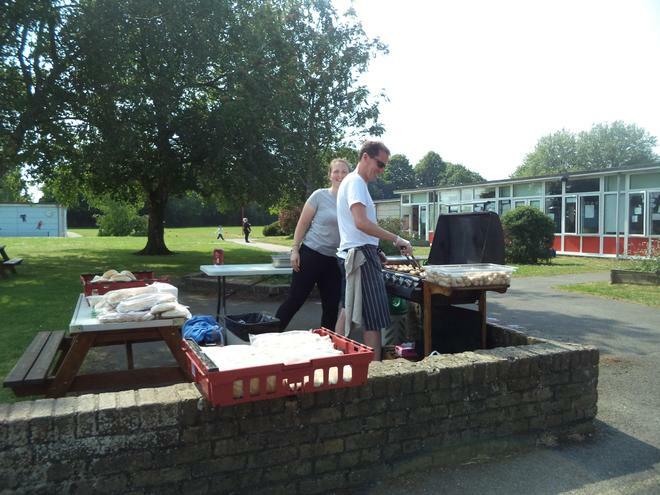 If you were thinking of volunteering this year but were not quite sure, get it in the diary for next year! 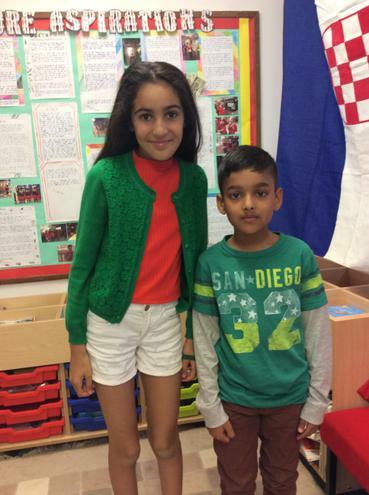 We would love to welcome you into school. 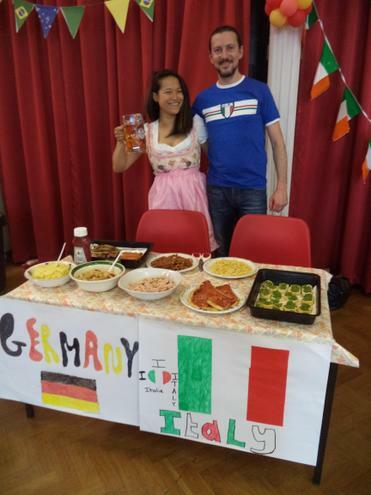 International Day this year was so much fun! 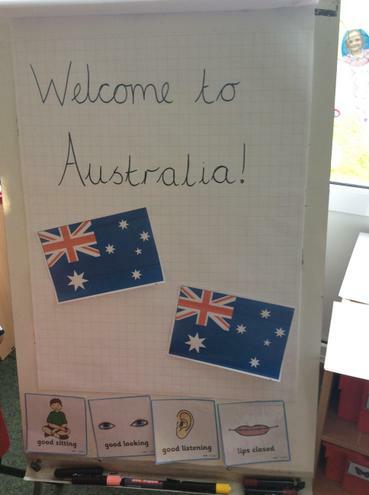 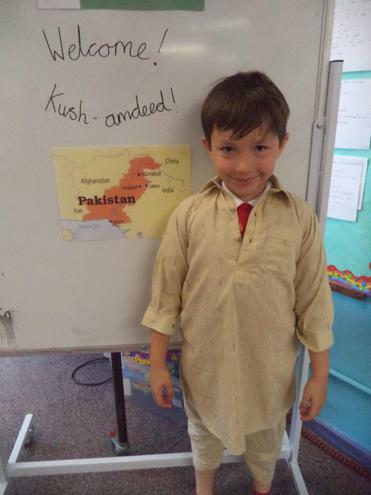 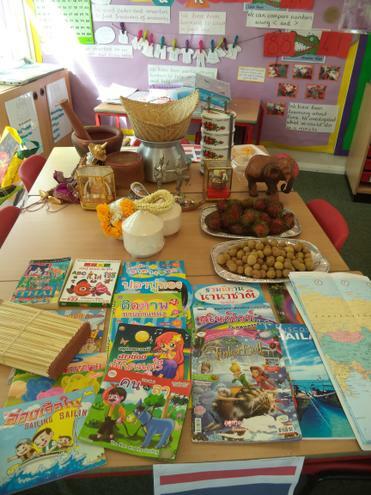 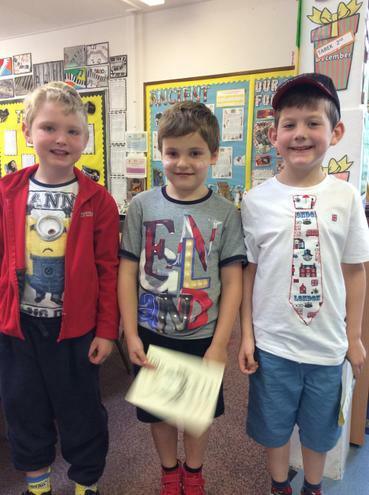 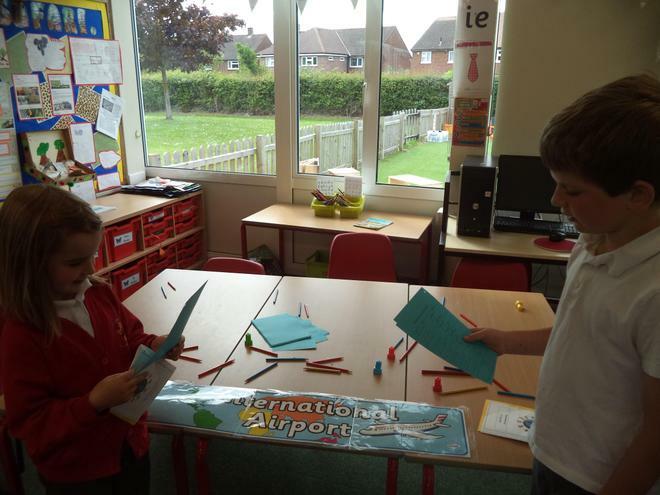 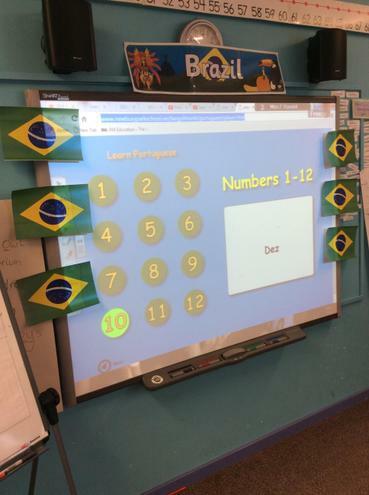 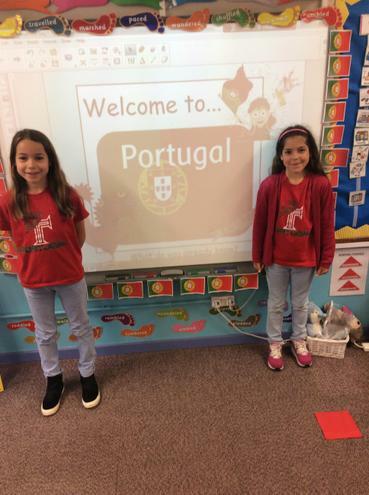 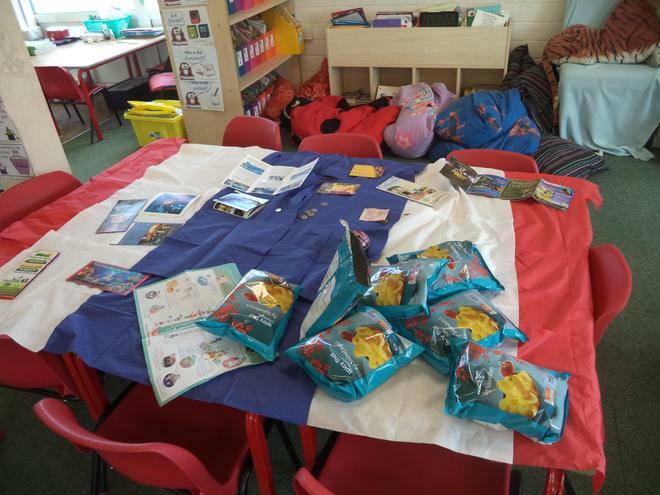 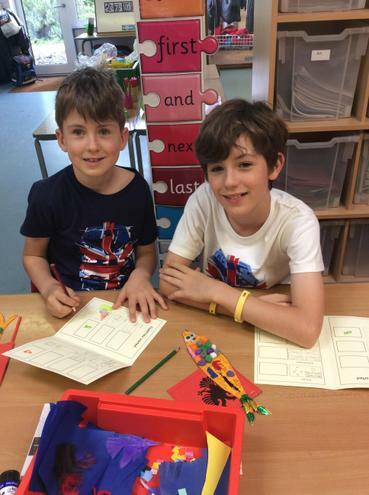 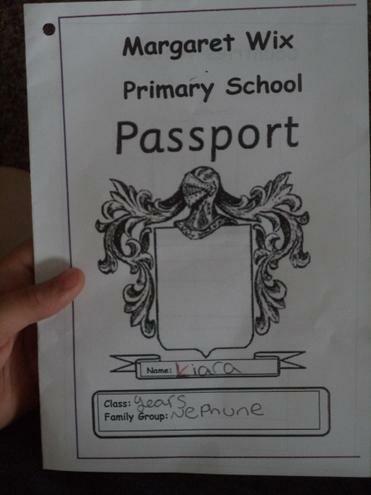 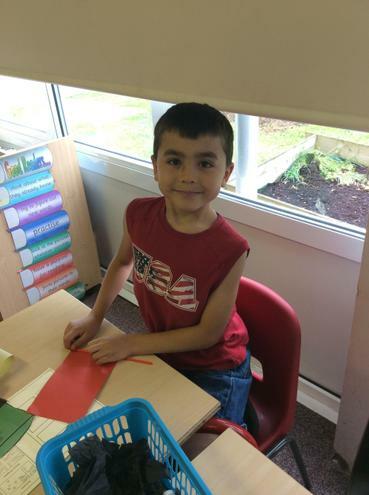 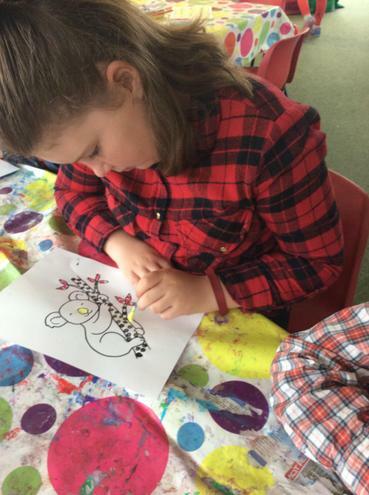 The children travelled to 7 different countries during the day in their family groups. 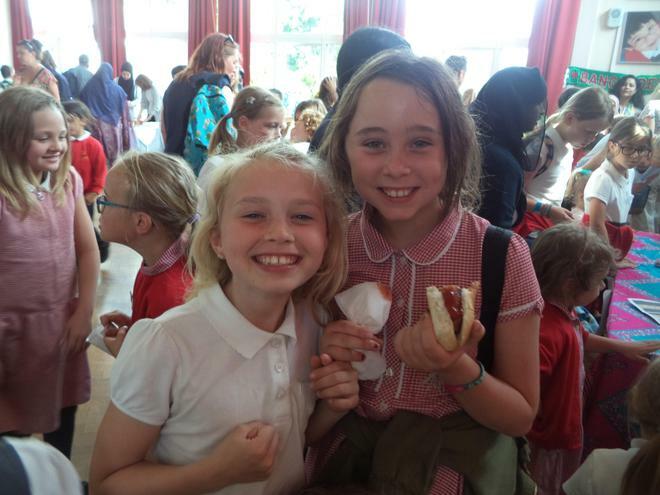 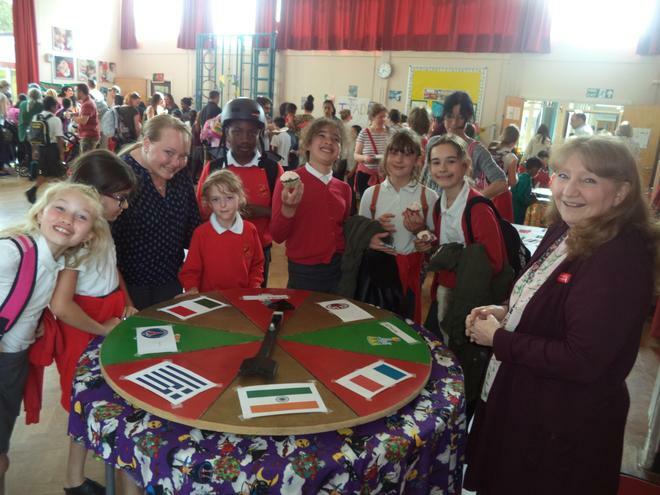 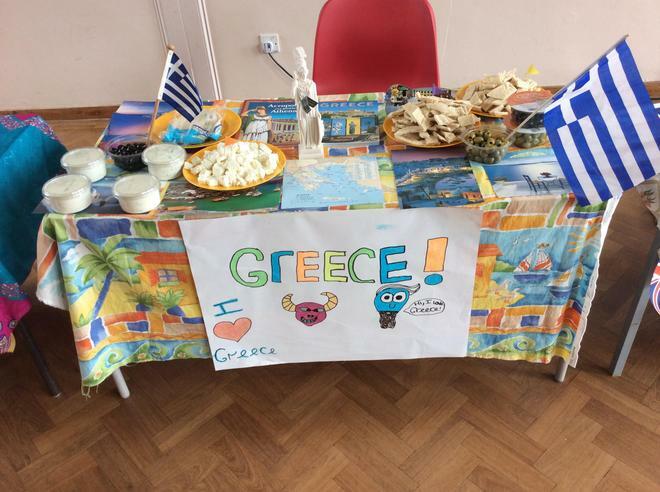 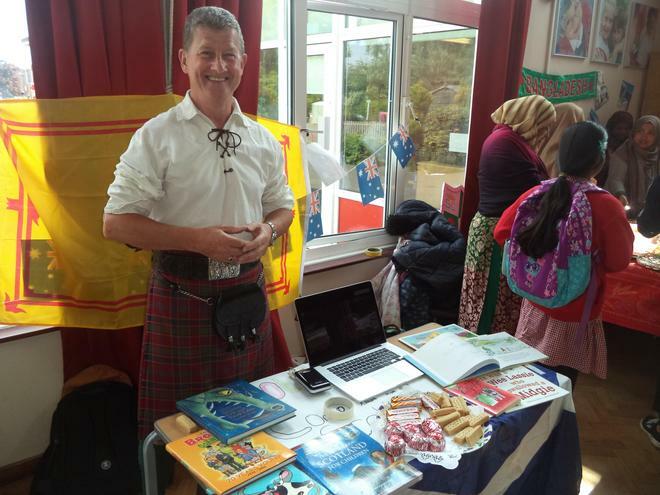 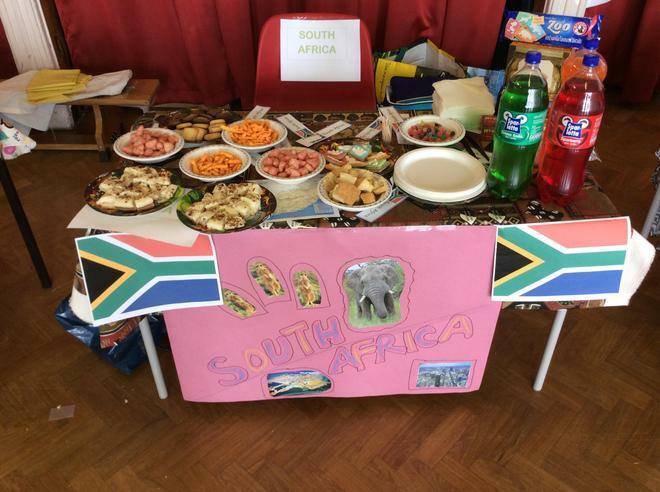 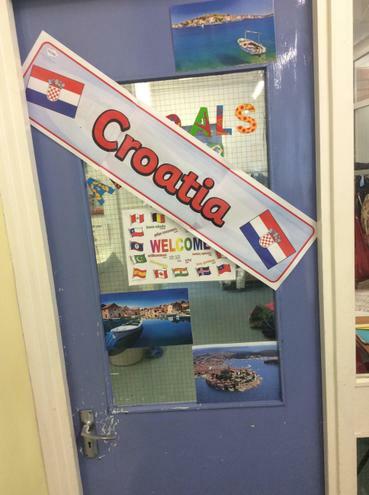 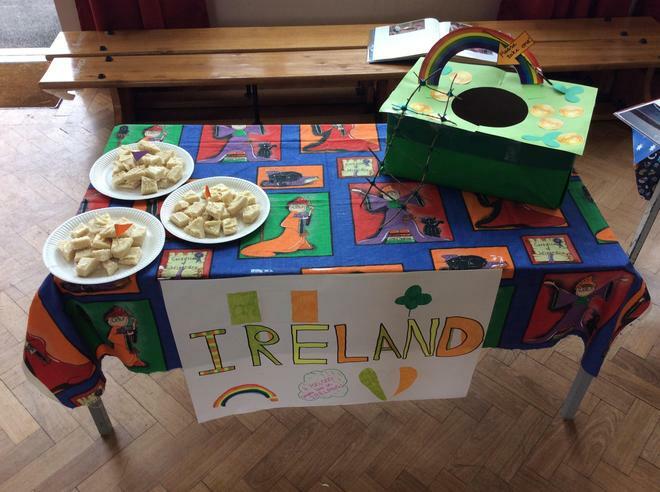 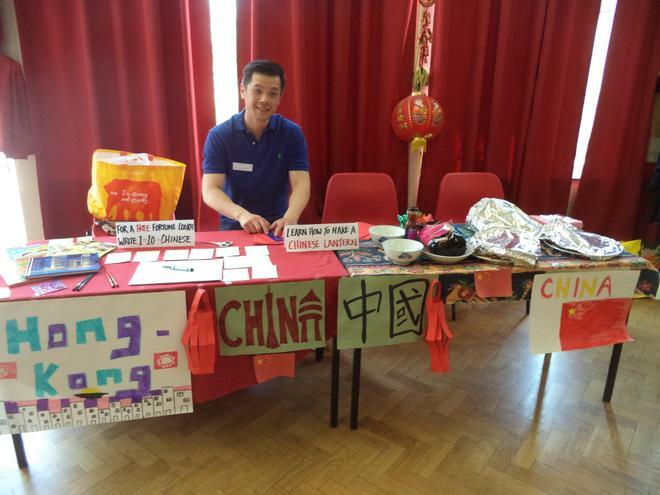 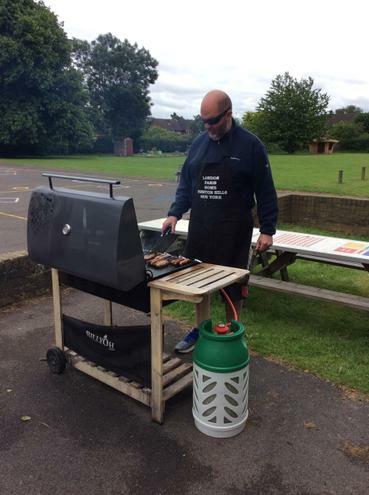 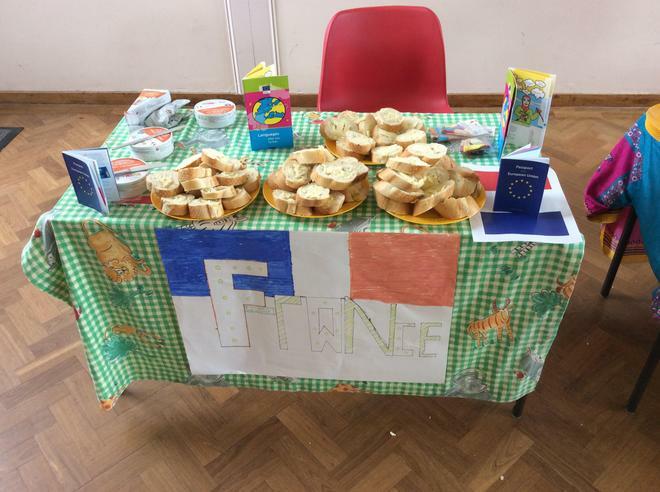 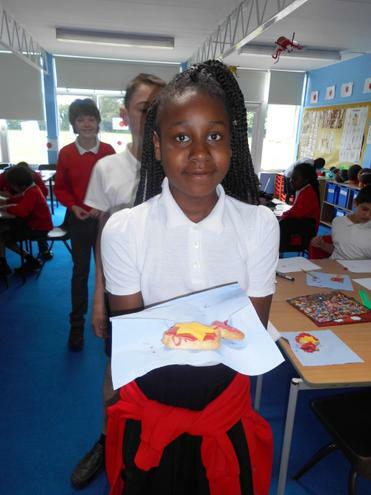 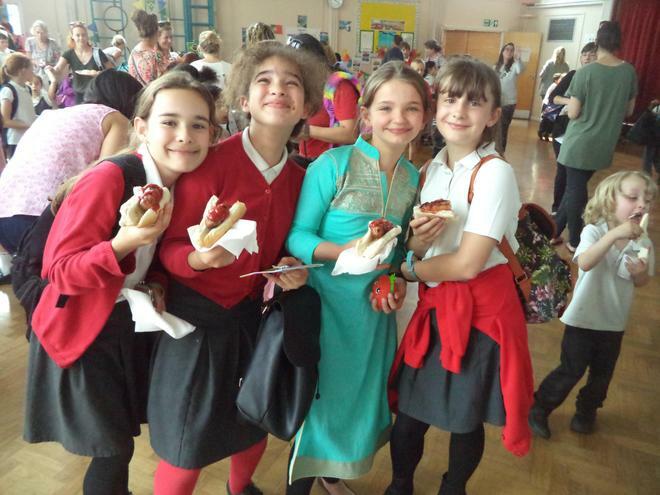 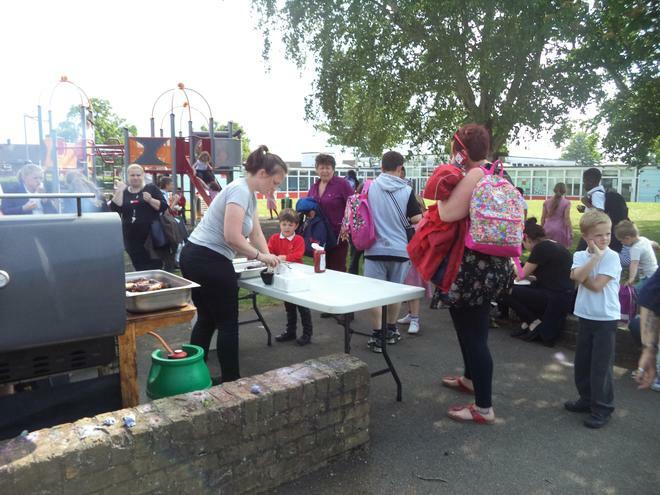 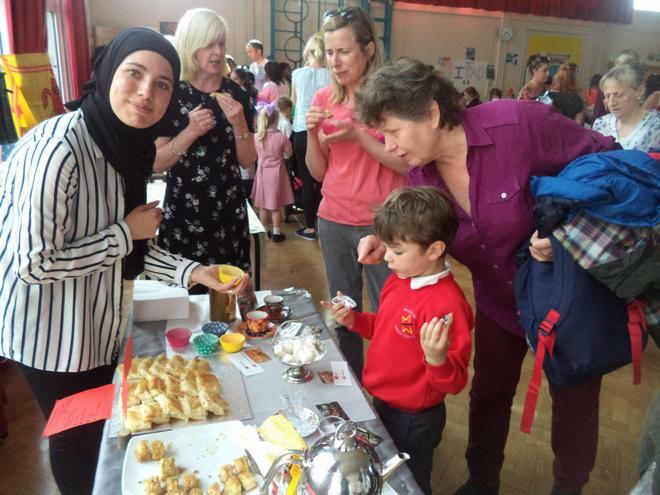 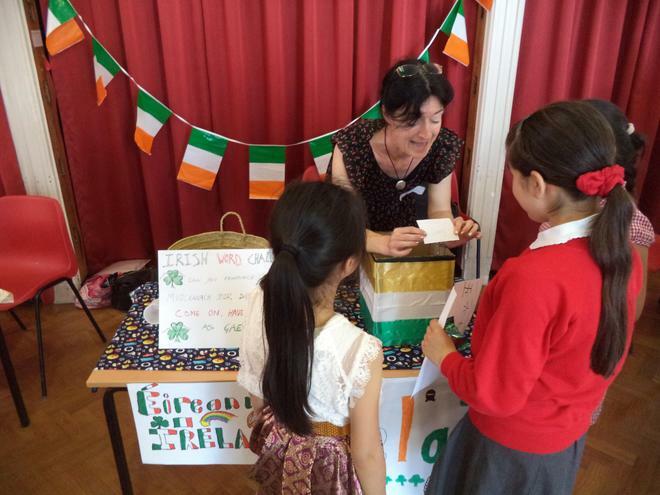 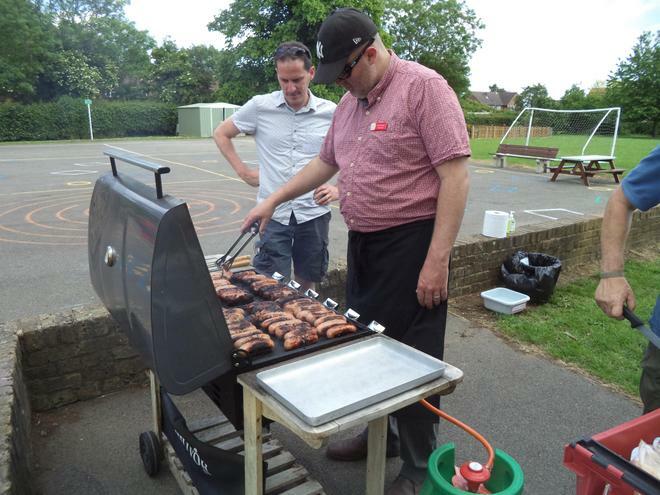 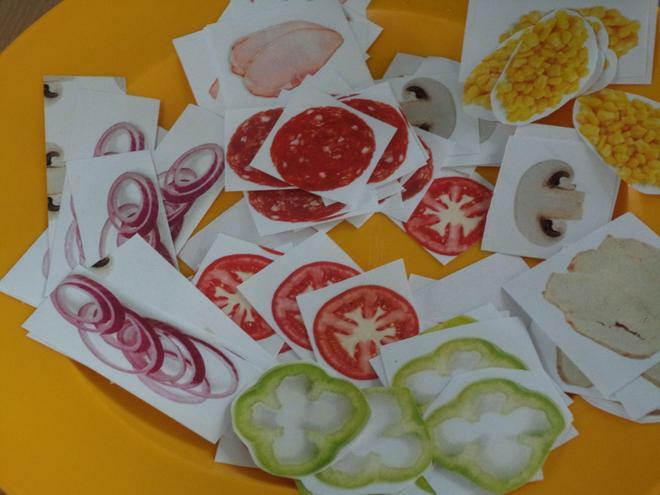 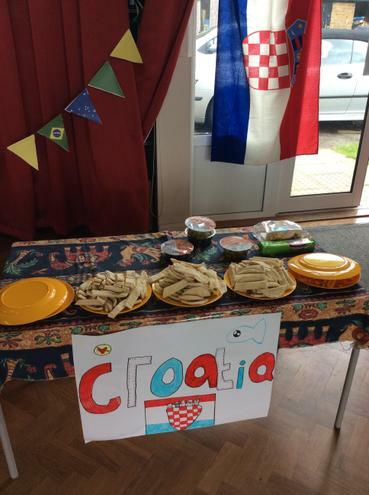 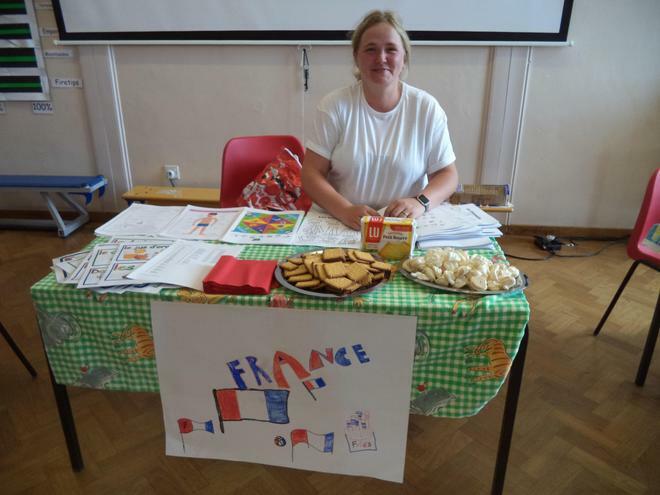 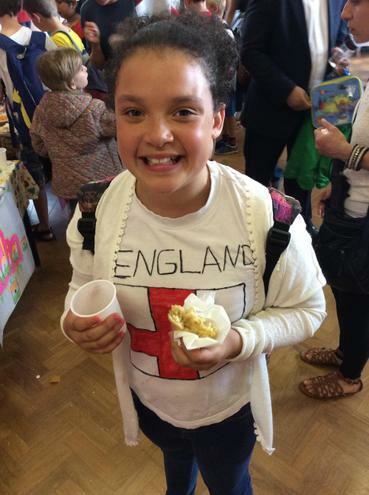 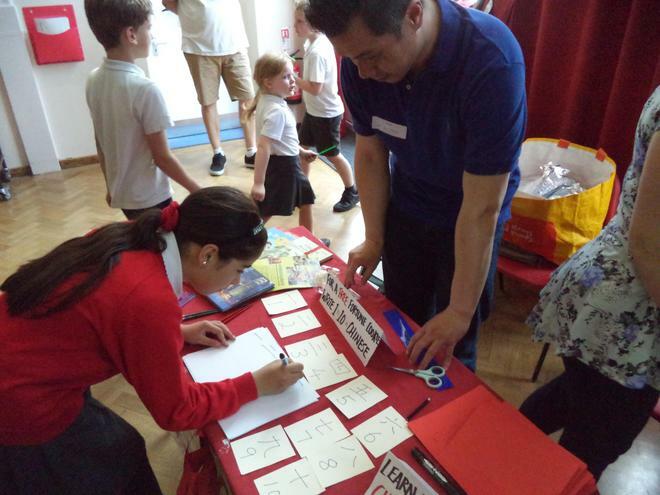 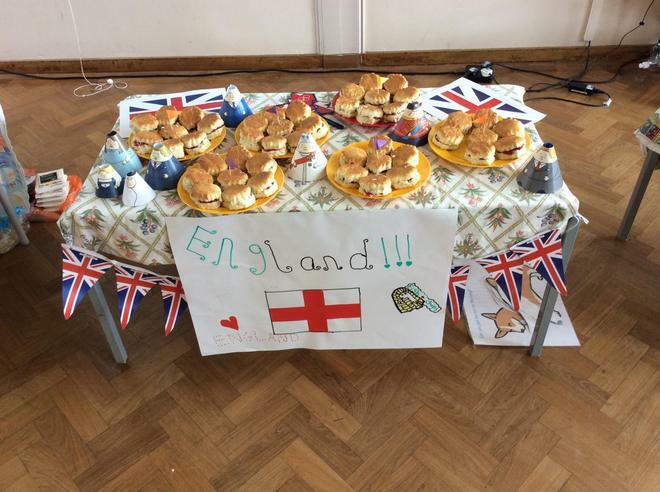 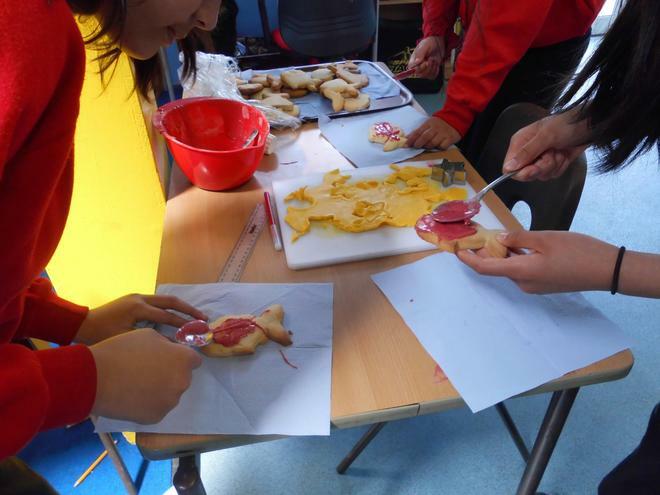 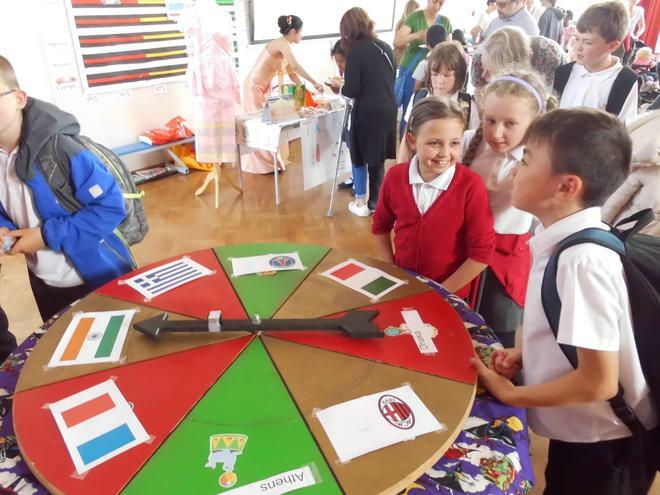 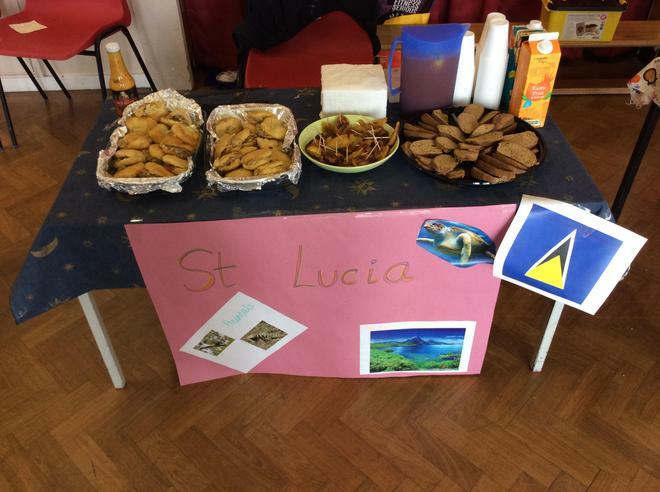 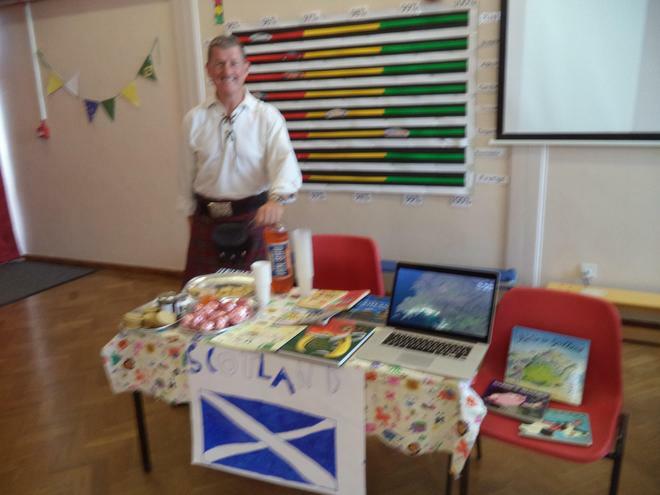 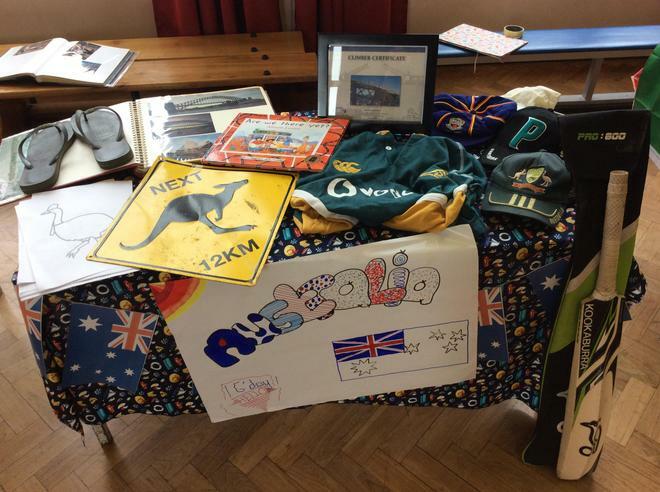 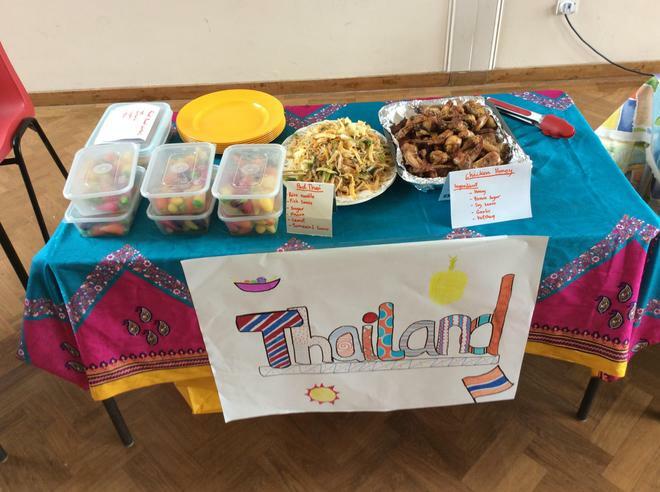 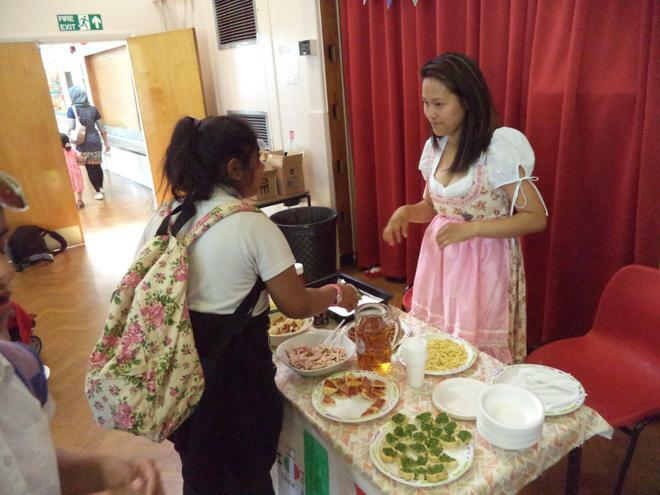 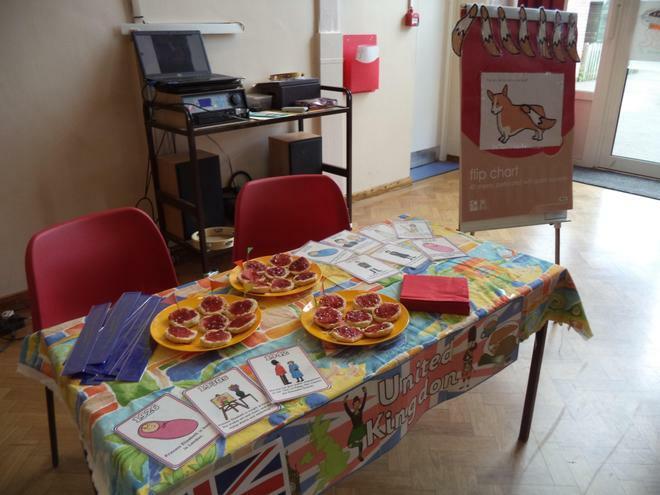 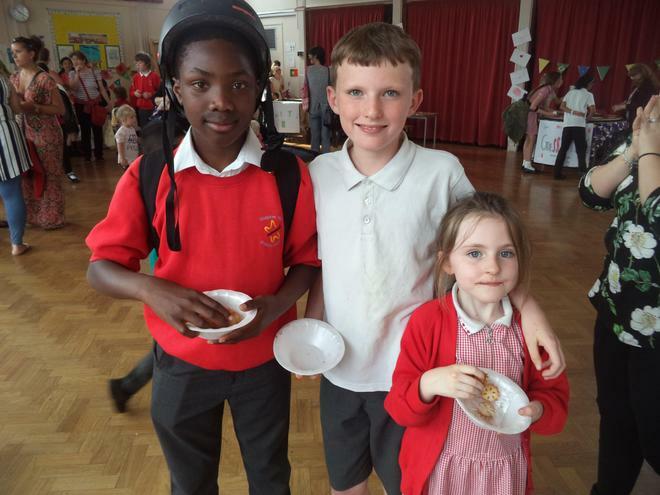 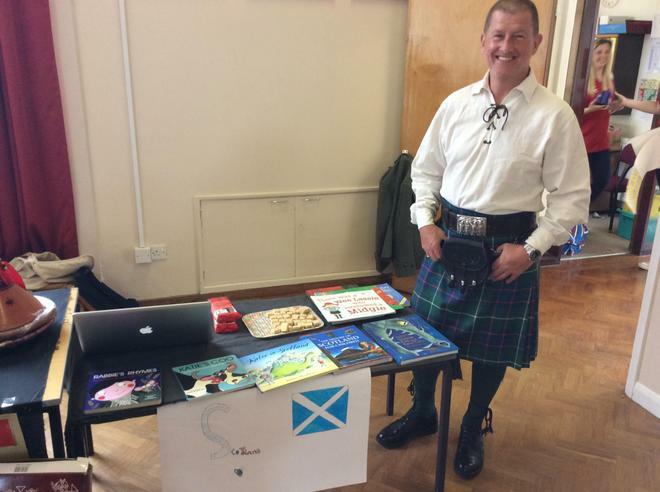 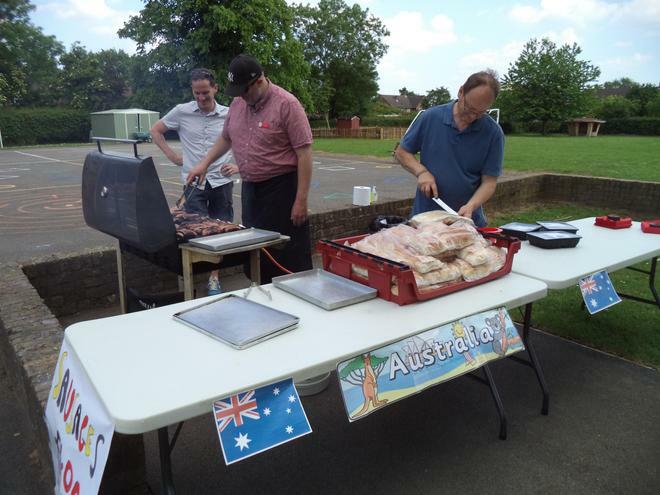 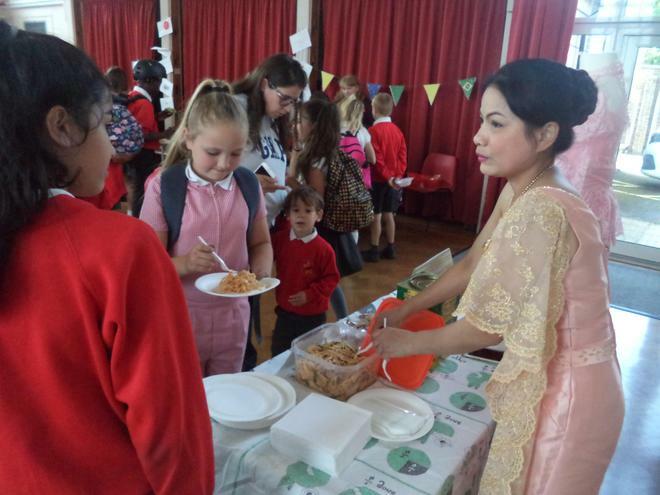 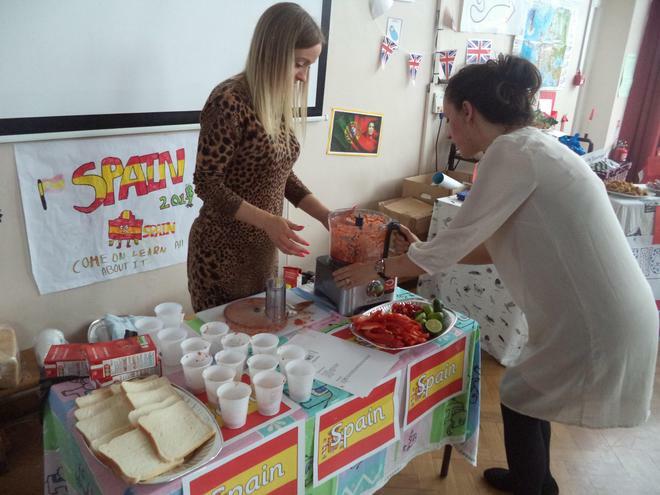 After school, with the help of our fantastic school community, we set up our first 'International Fair' where the children could taste food from others countries and Mr. Johnston made 'sausage sangers' on the BBQ! 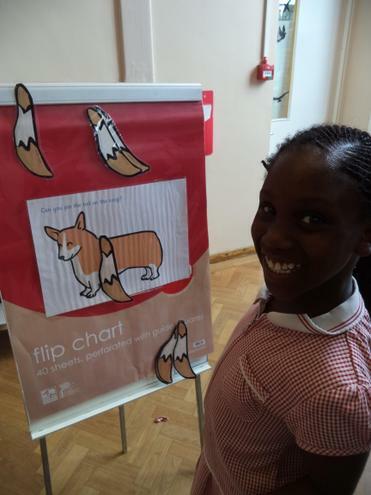 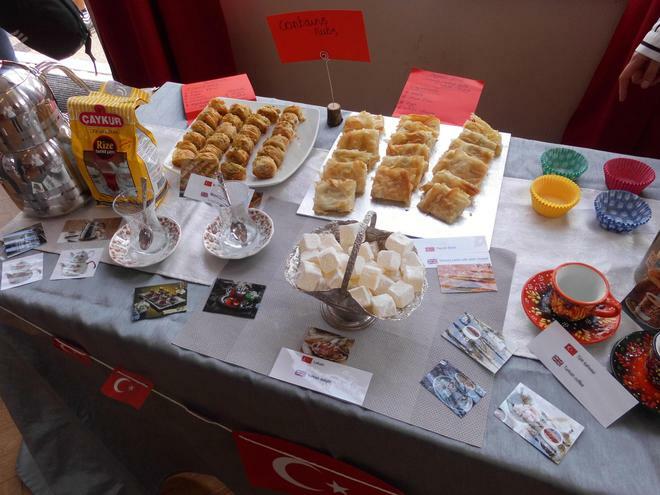 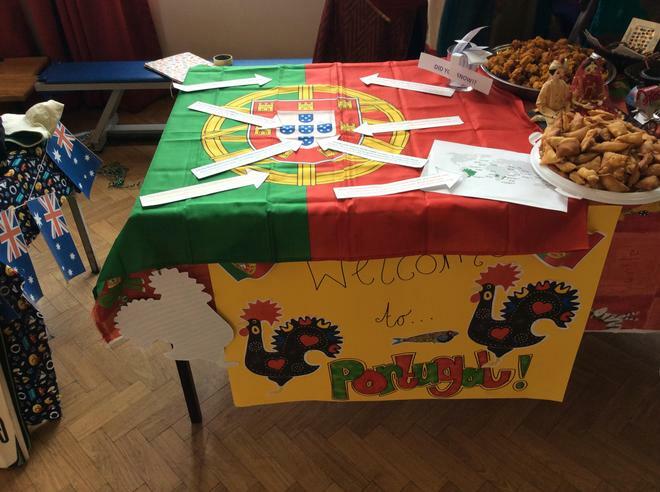 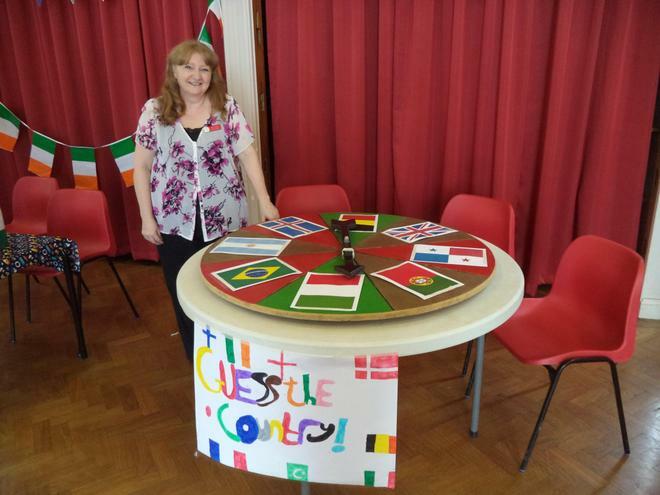 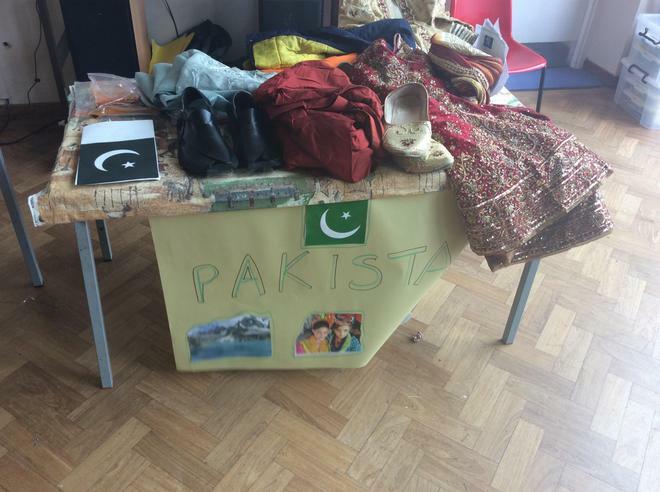 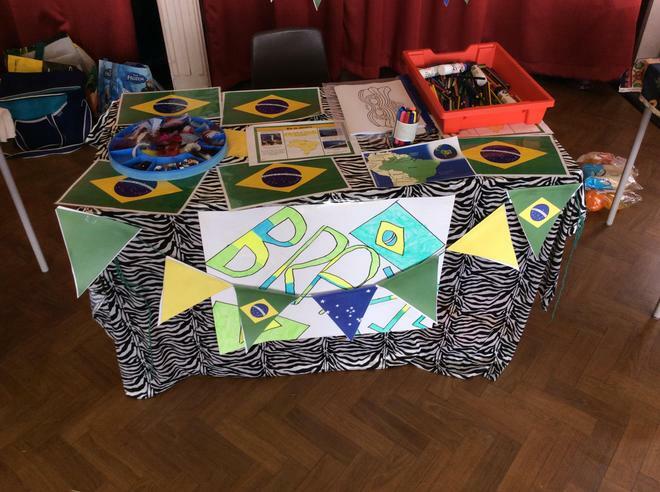 Our first 'International Fair' with 17 countries represented! 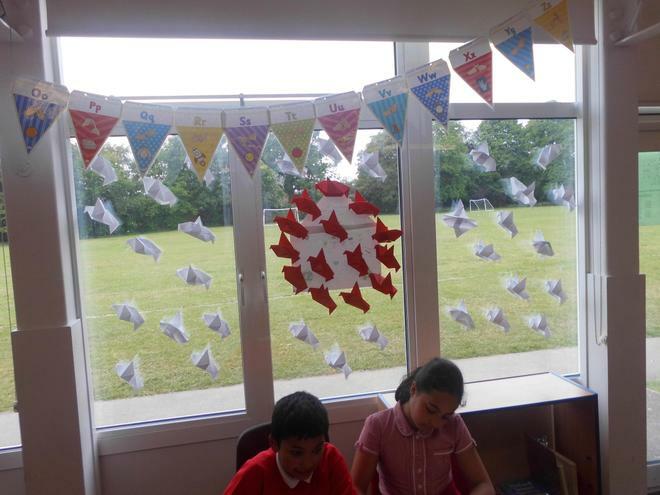 We are increasing the number of books we have in the school library all the time. 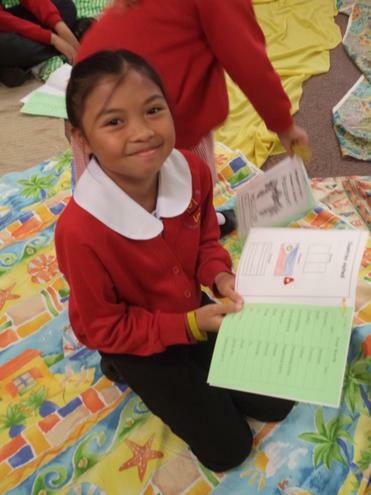 Encourage your child to bring home a book in the language you speak at home so you can enjoy a book together. 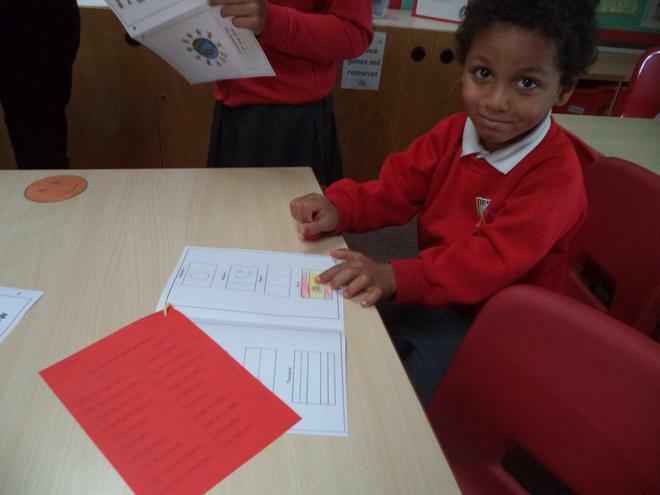 Reading with your child Helpful booklet explaining how to support your child in learning to read available in 26 languages! 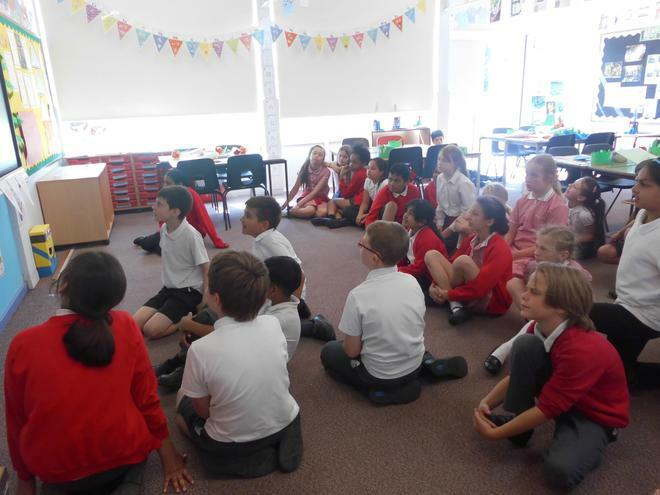 Newbury Park School website A fantastic school website where you can learn the basics in lots of different languages!